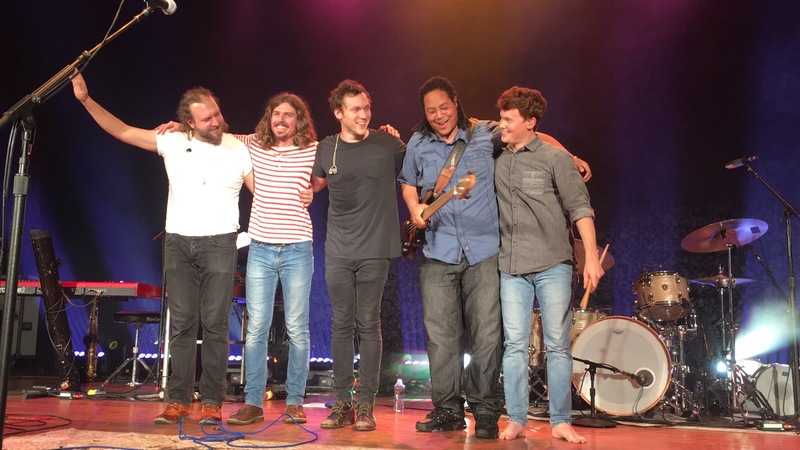 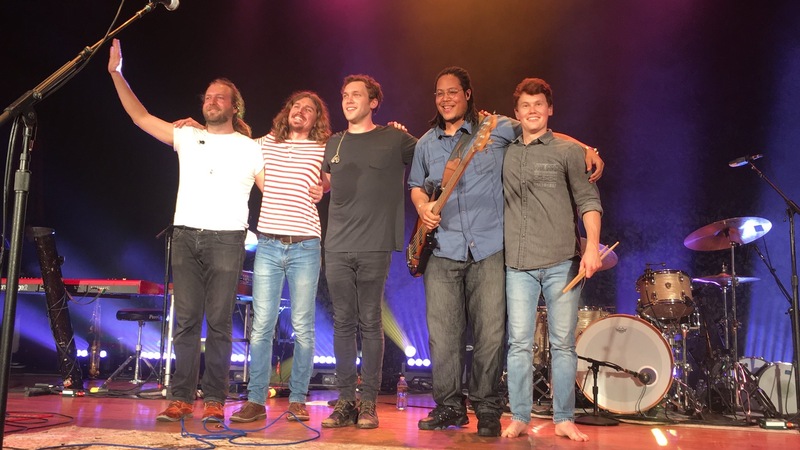 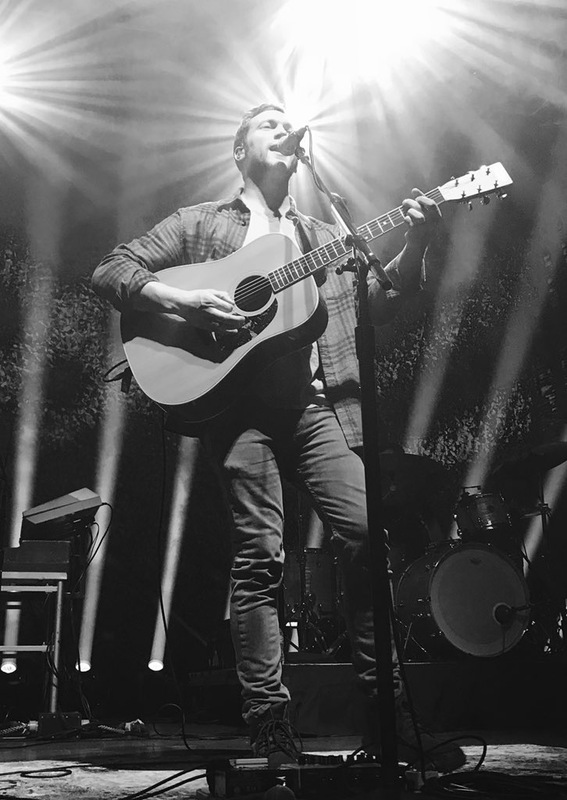 Phillip Phillips closed his Magnetic Tour last night at the Walker Theater in Chattanooga, TN. 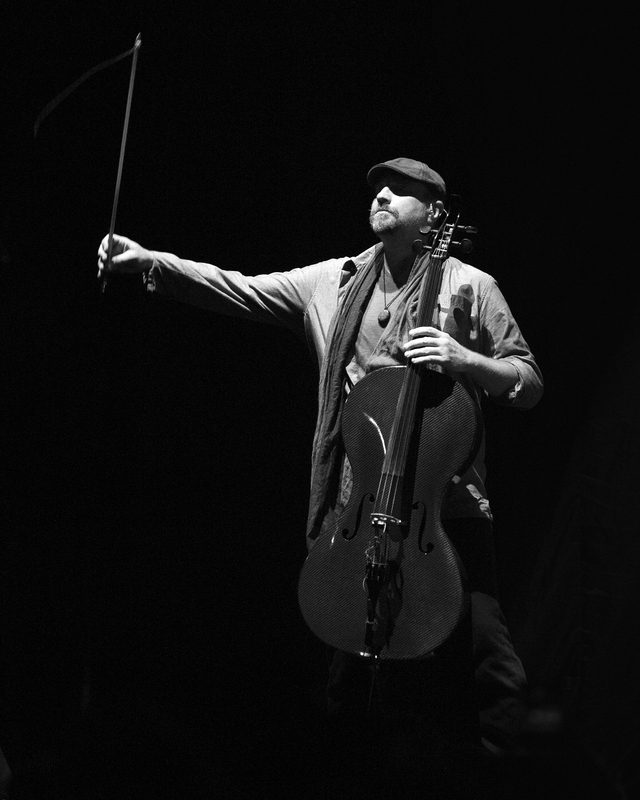 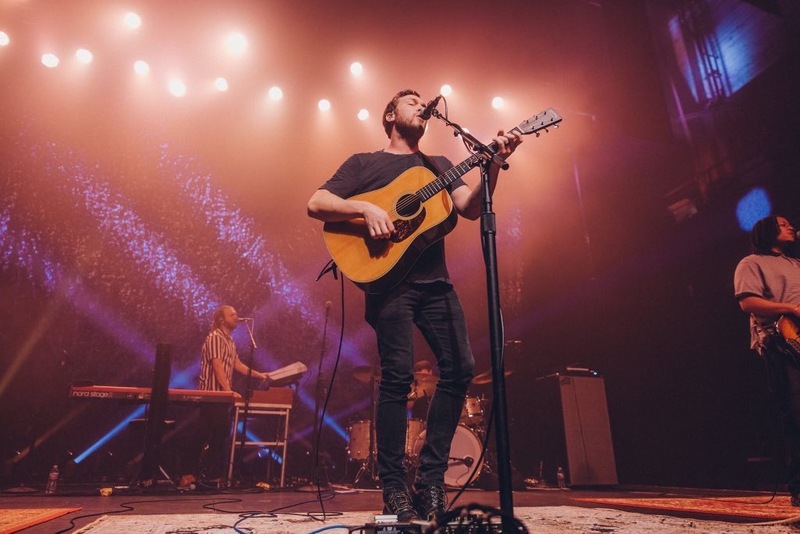 To celebrate, Phillip invited his incredible openers, The Ballroom Thieves, to join him on stage for a performance of “Eleanor Rigby” and “Home.” It was the triumphant close to a 43-date US tour that took Phillip and his band across the country (with two stops in Canada) and to every weather possible during a drawn-out winter and cold spring. 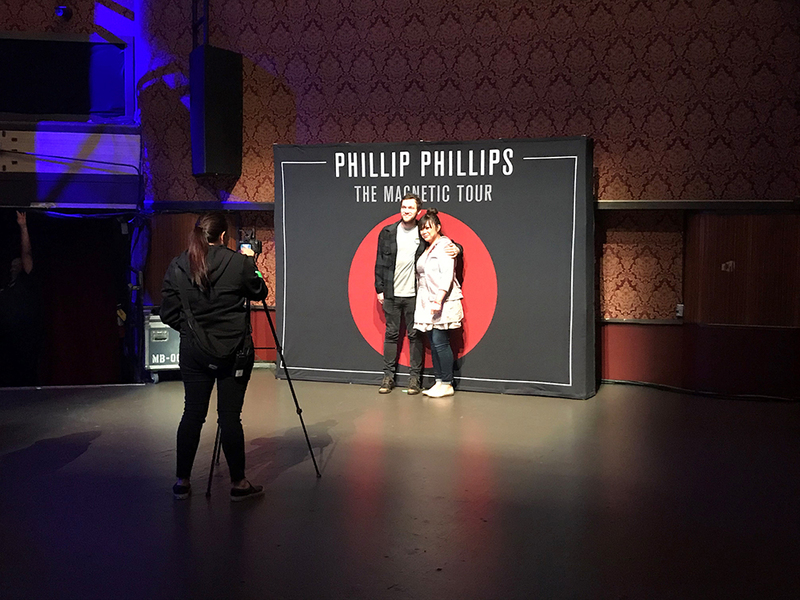 Double that amount of shows for Phillip himself, who performed a solo VIP show and Q&A before each main concert in every city. 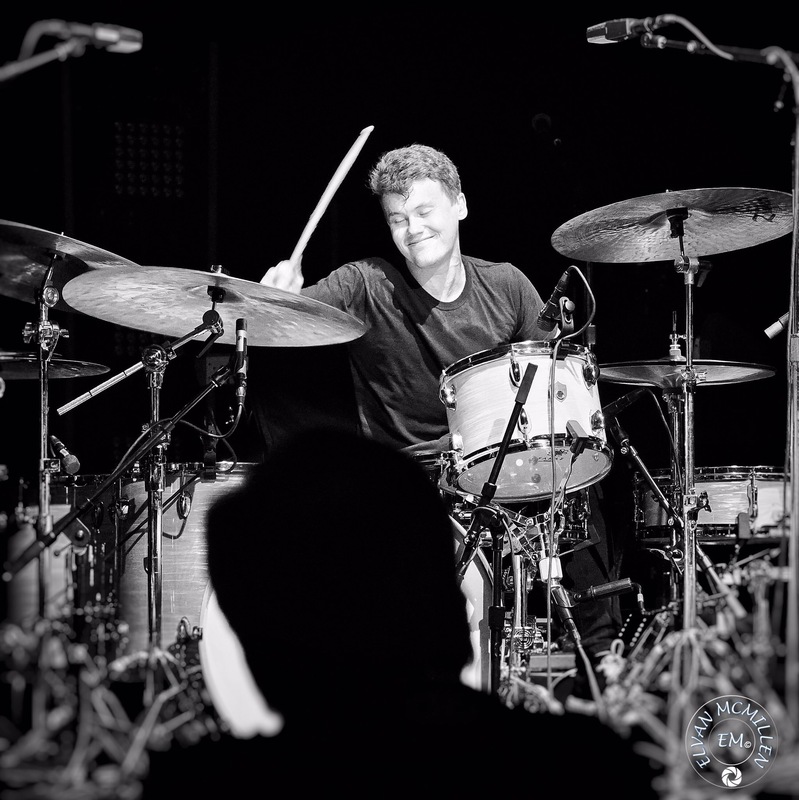 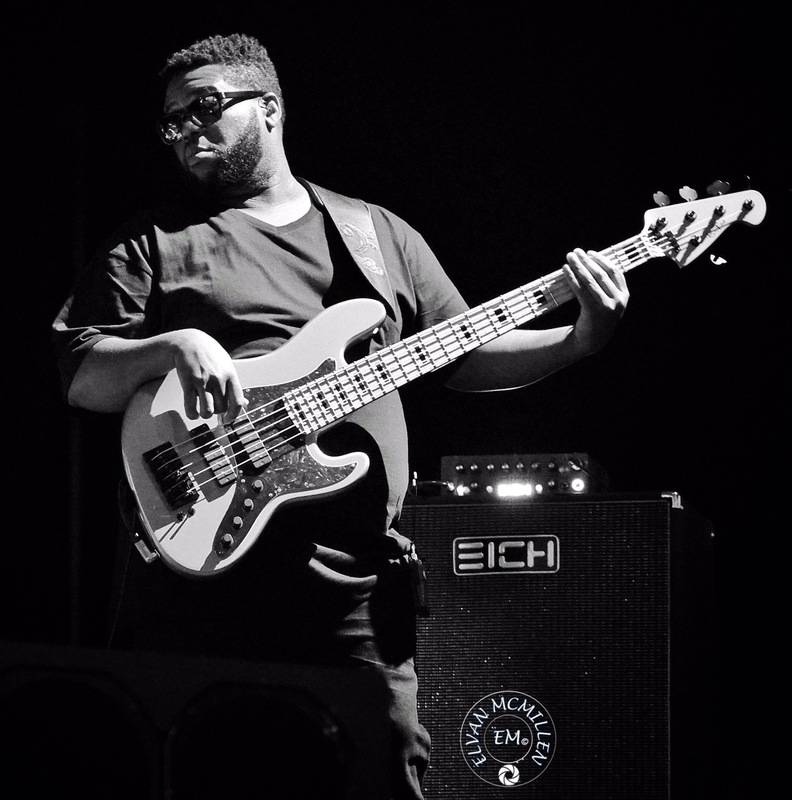 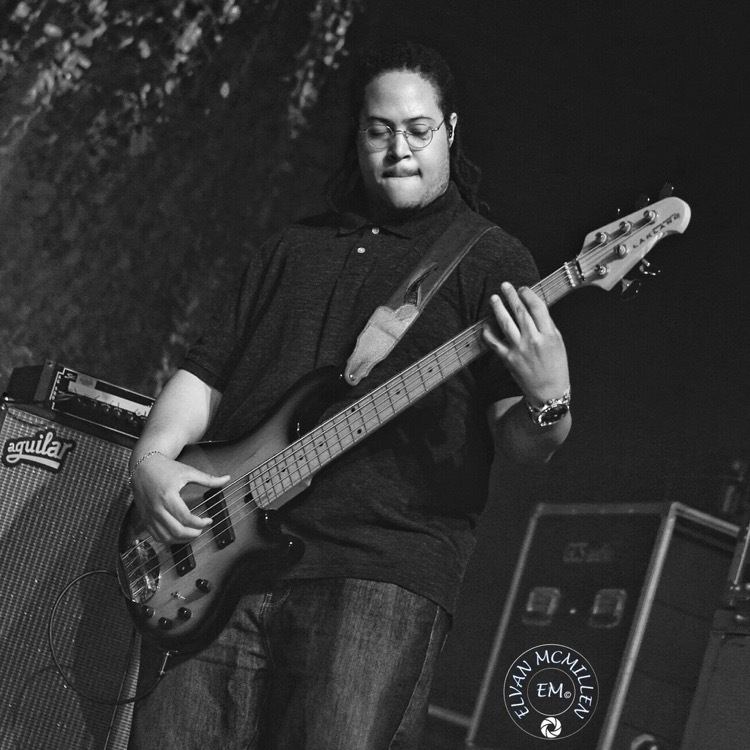 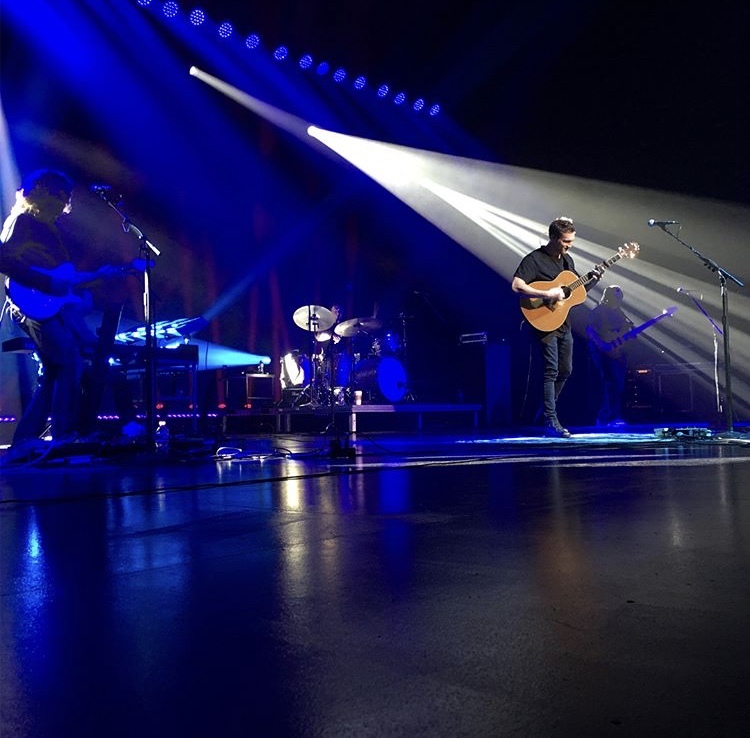 Still, Phillip’s energy and that of his band never faltered, elevating each show to the highest level of musicianship and pure musical celebration. 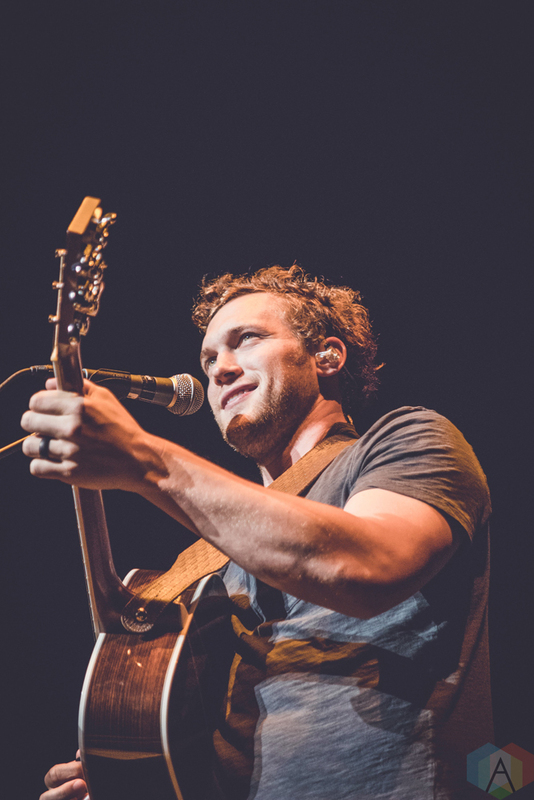 Phillip Phillips closes the Magnetic Tour in Chattanooga, TN. 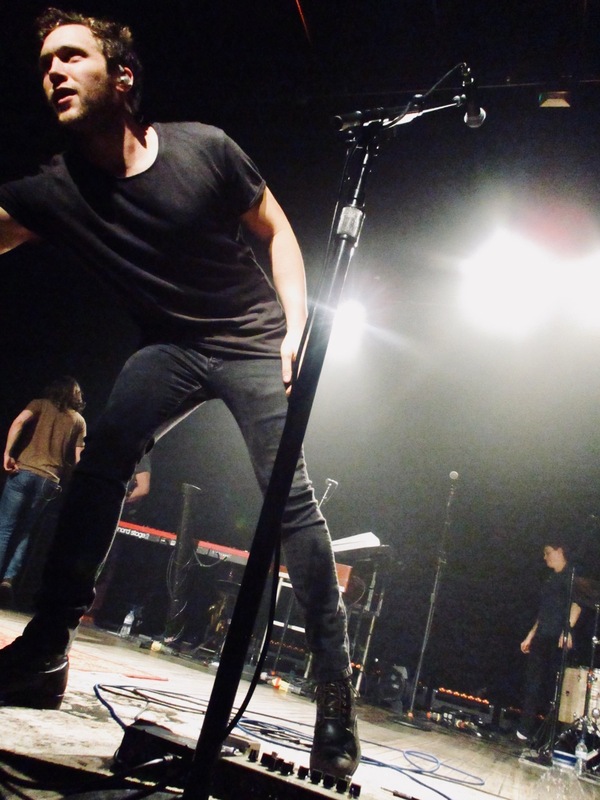 Photo: Jessica Rayome. 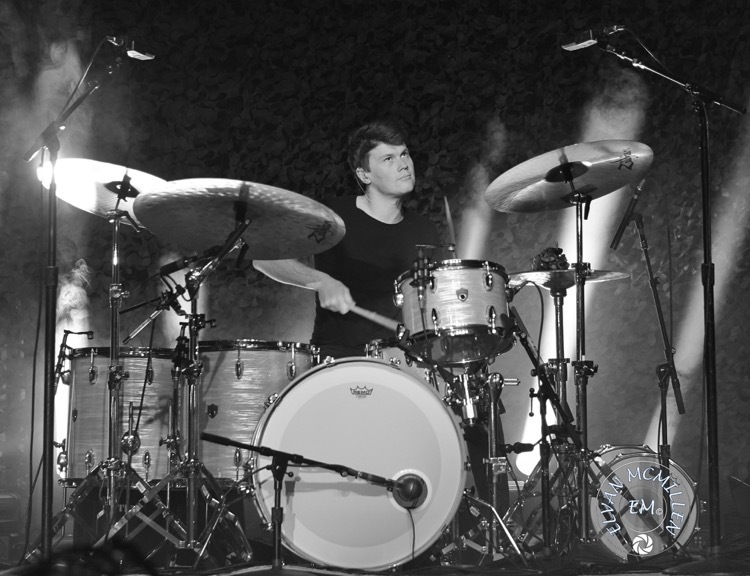 The Striking Matches performs at The Fillmore in Silver Spring, MD. 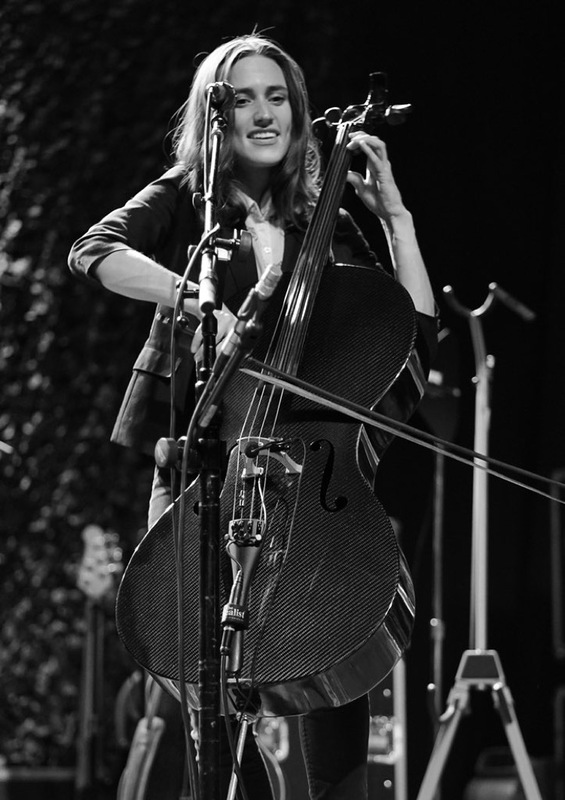 Photo: Elvan McMillen. 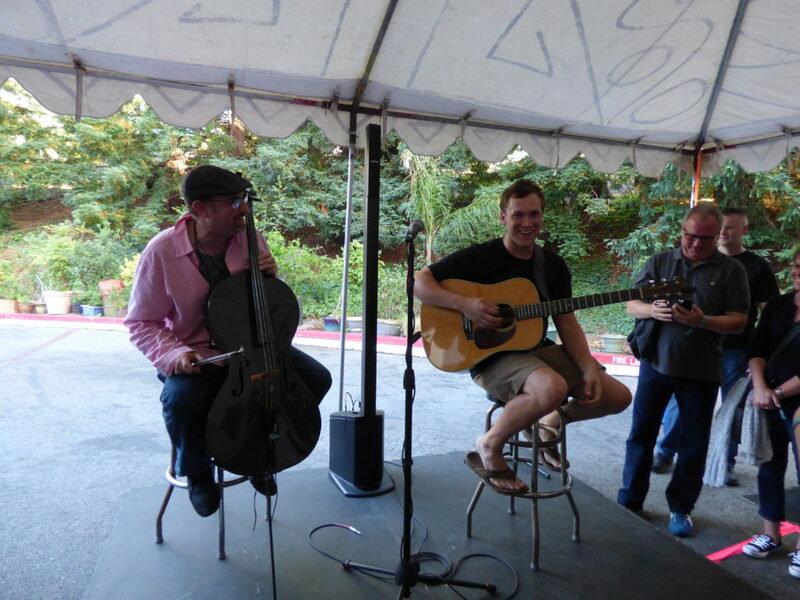 This was a special tour for several reasons. 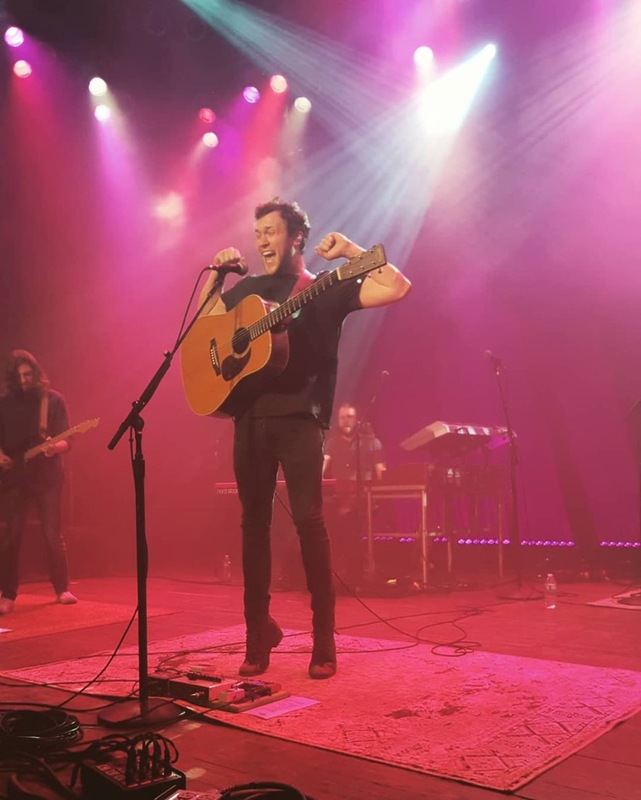 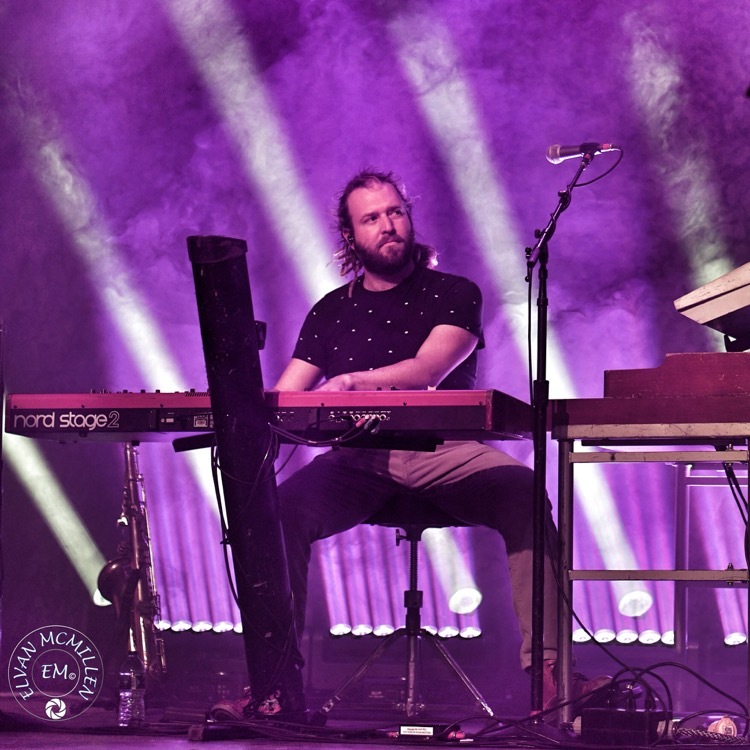 It was Phillip’s first solo headlining tour since 2014, as well as the first officially in support of his latest album, Collateral. 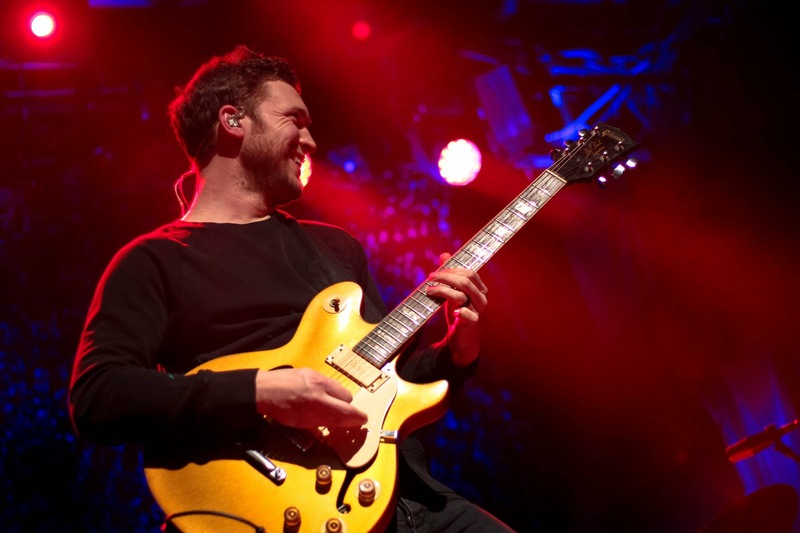 It also marked the beginning of a new era for Phillip and his career, leaving behind the legal troubles that haunted him for the last three years. 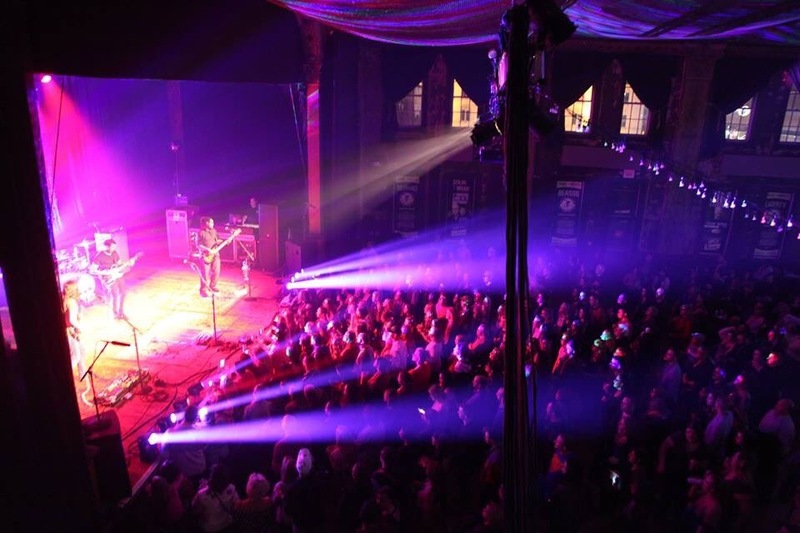 There is no question that it was a resounding success, with many sold out VIP performances or full shows. 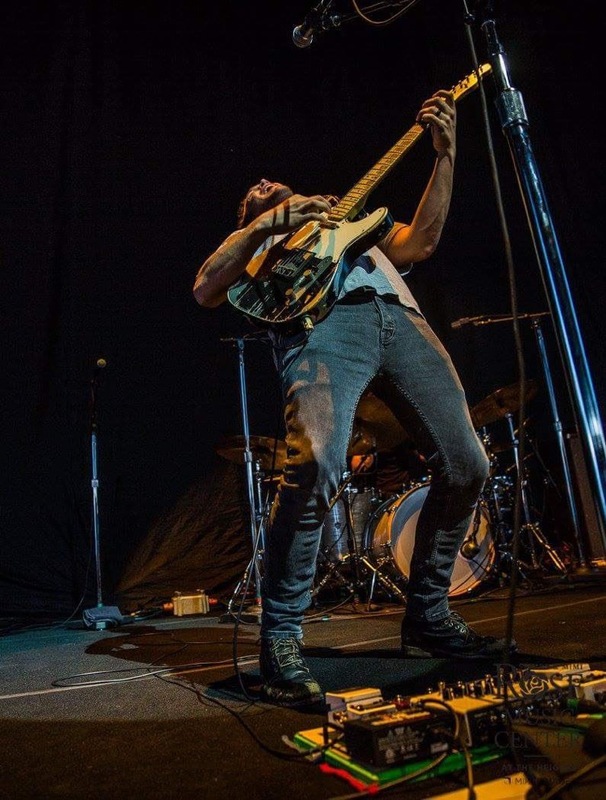 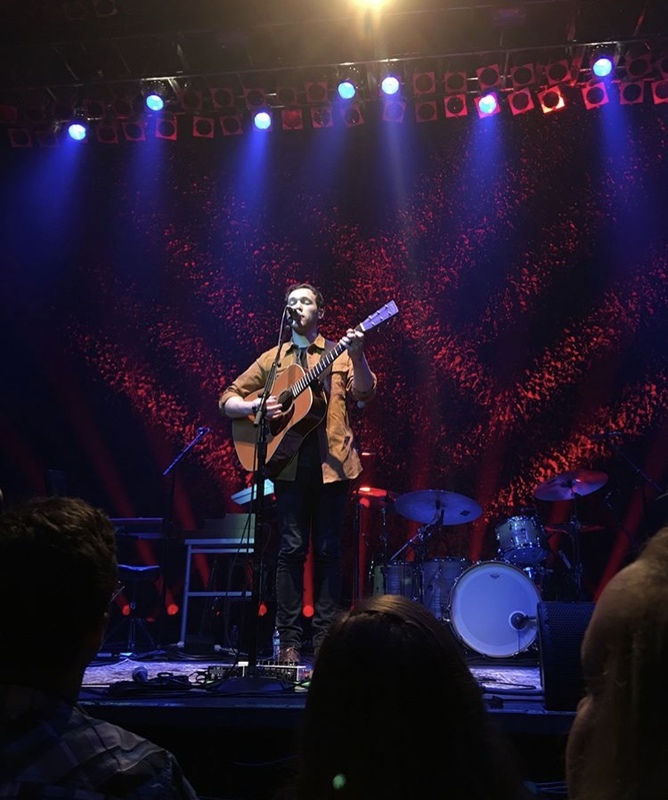 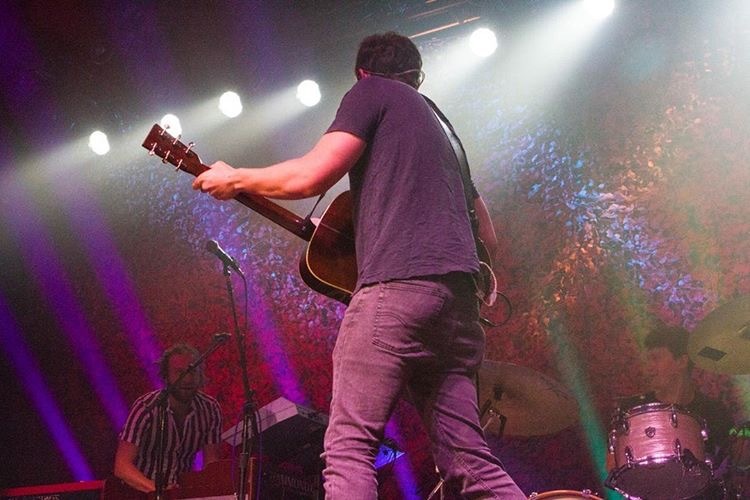 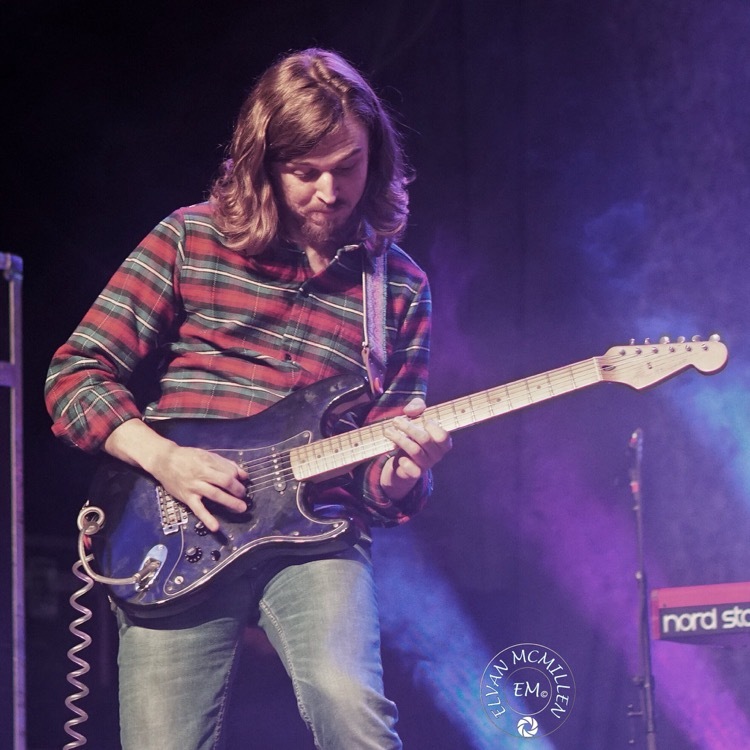 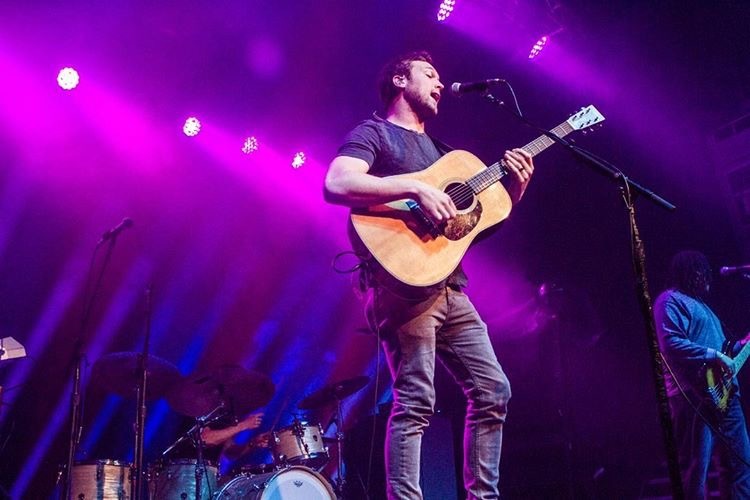 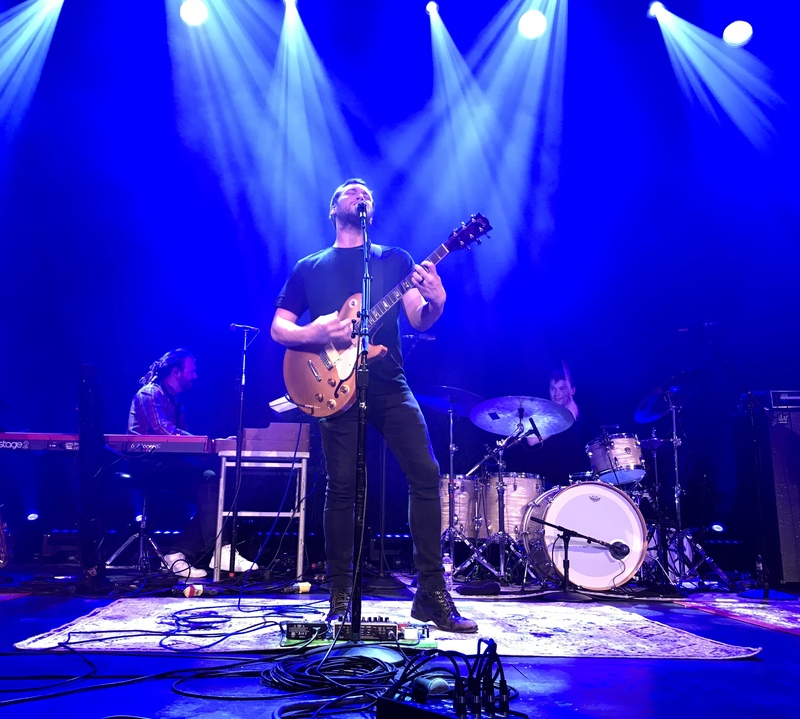 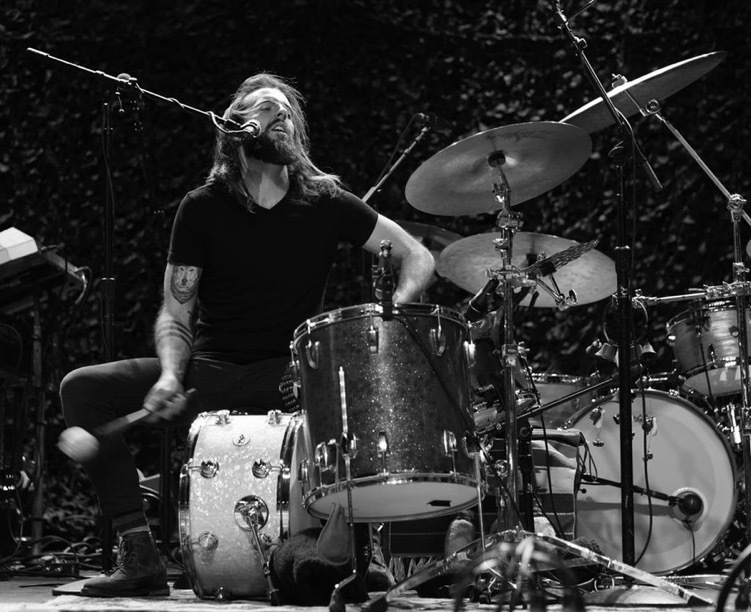 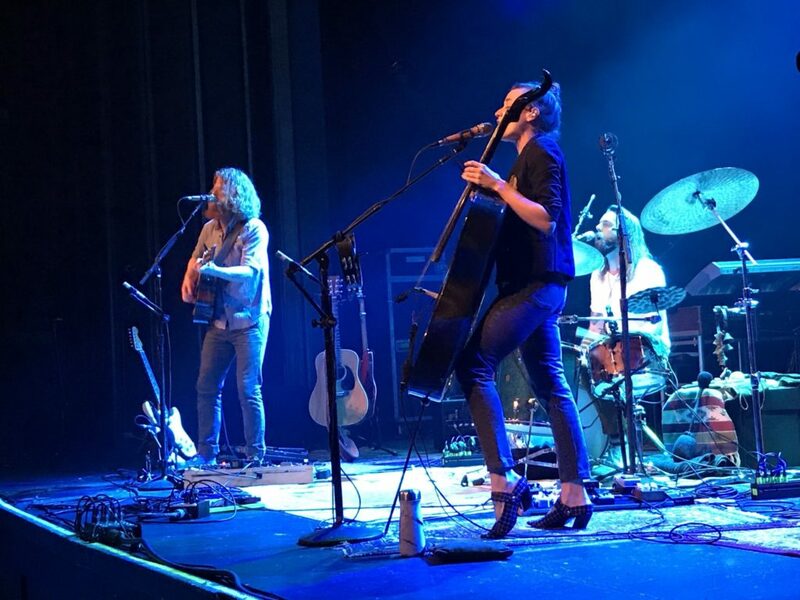 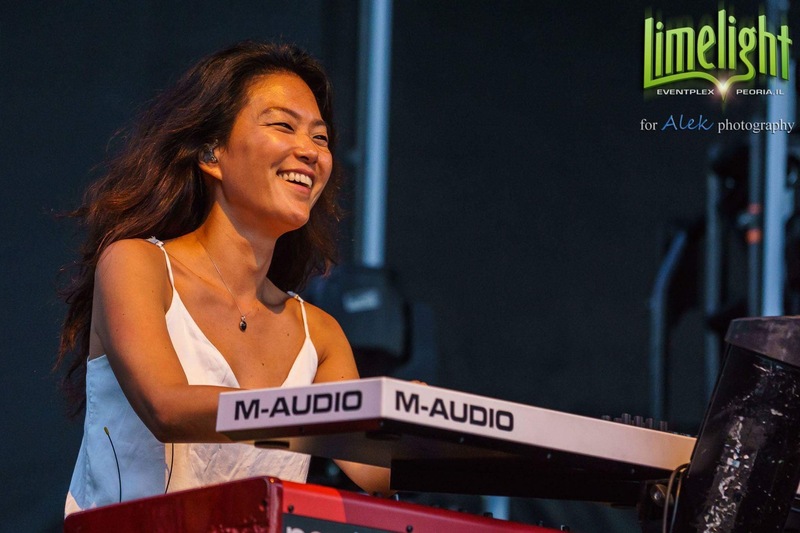 Two spectacular bands shared duties opening for Phillip, Nashville’s Striking Matches and Boston’s The Ballroom Thieves, each covering a leg of the 10-week tour. 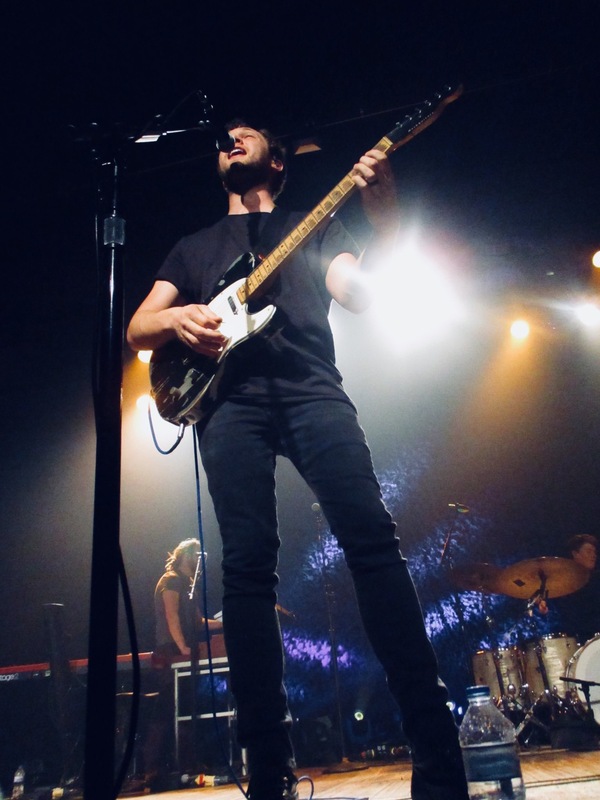 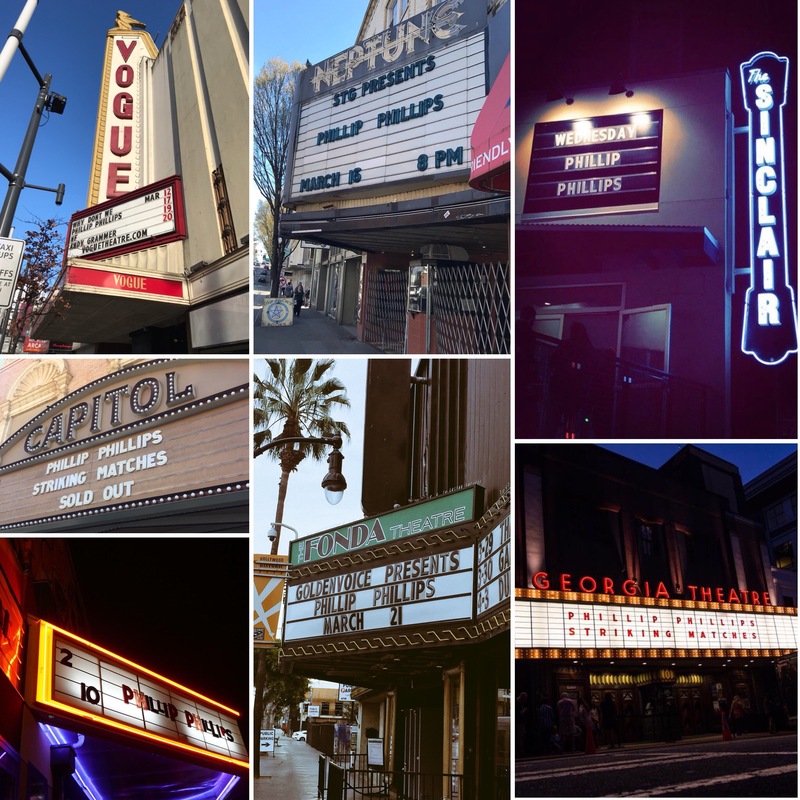 The venues were small, intimate theatres, and included several historic ones such as The Fillmore in San Francisco, the Neptune Theatre in Seattle, and the beautiful House of Blues in Chicago. 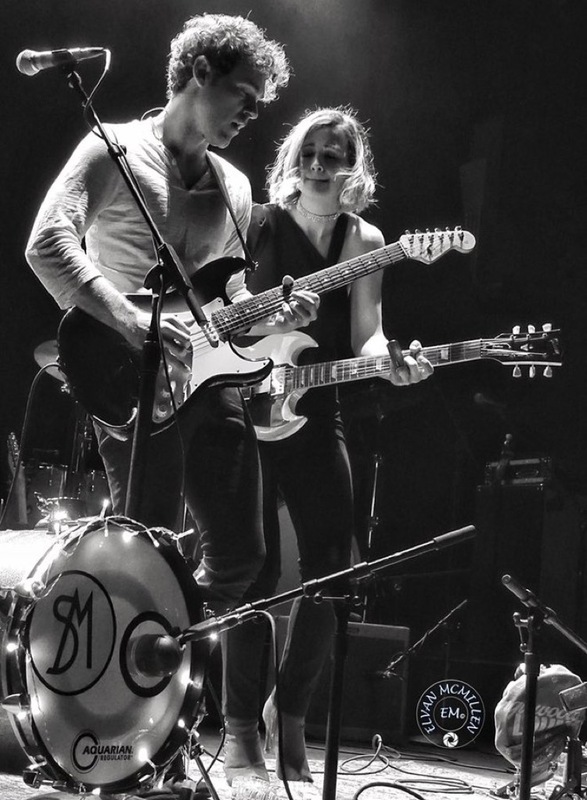 The Ballroom Thieves perform in Seattle, WA. 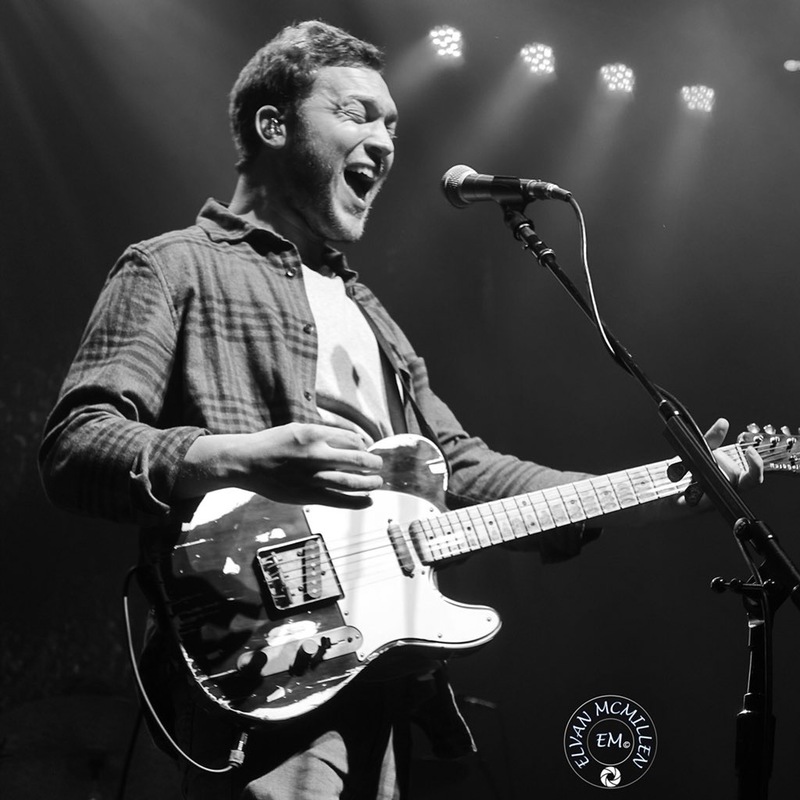 Photo: PhillPhillcom. 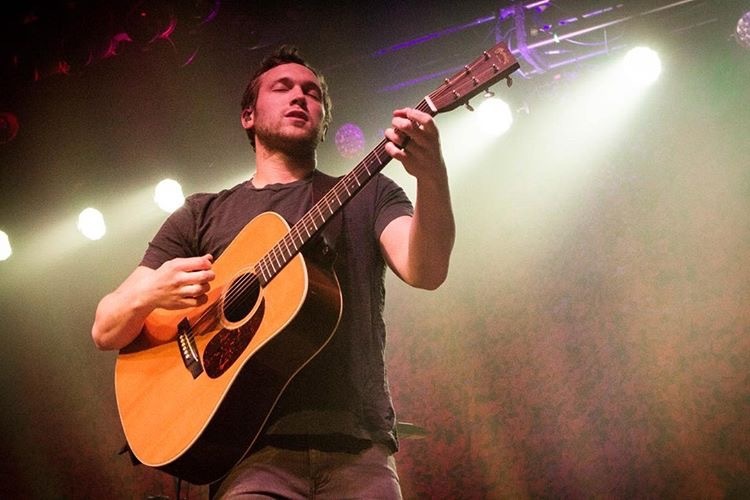 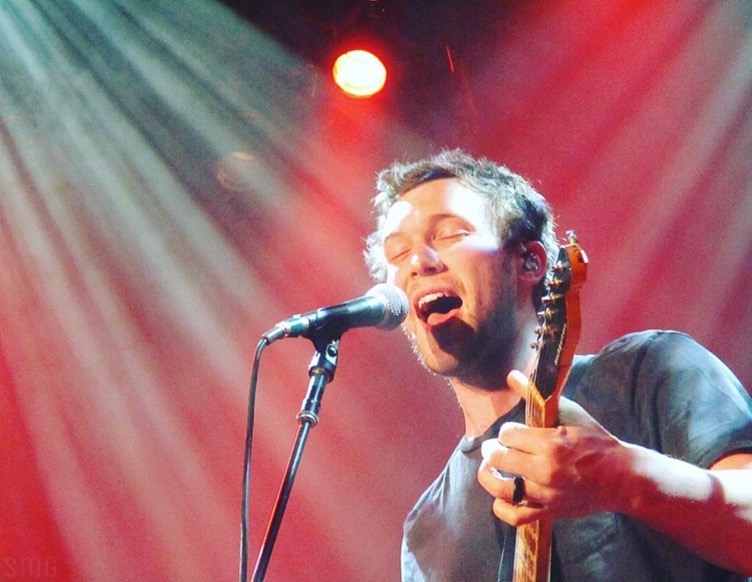 Phillip Phillips performs in Toronto, Canada. 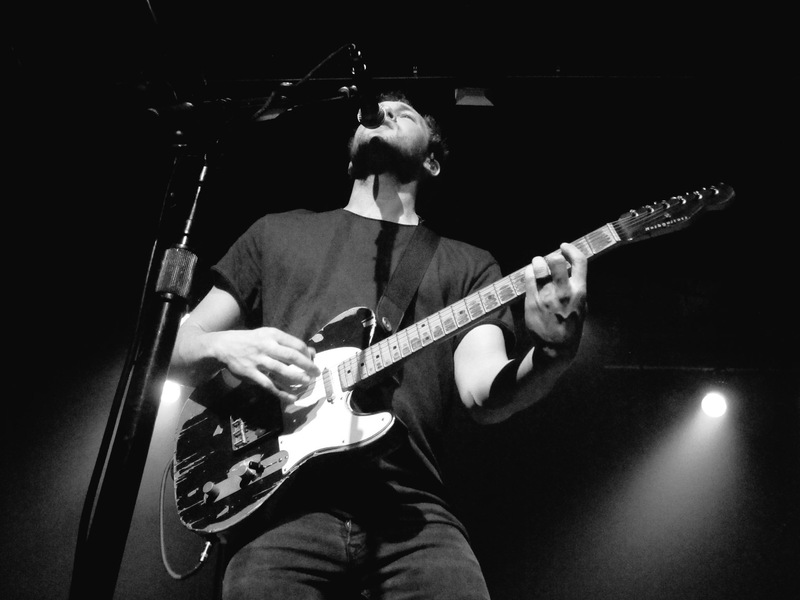 Photo by Danielle. 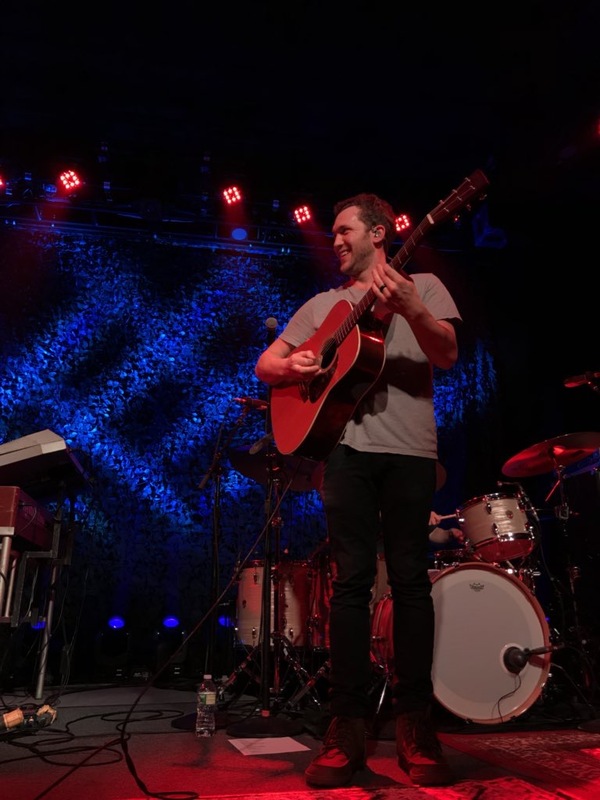 Almost all of the twelve songs off Collateral made their way to the set lists, either as part of the main show or the VIP performance. 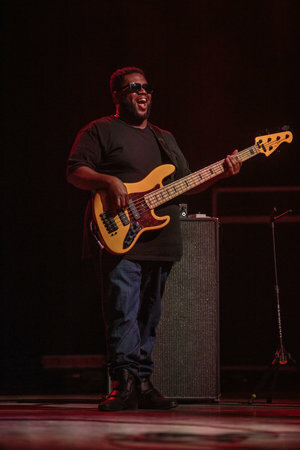 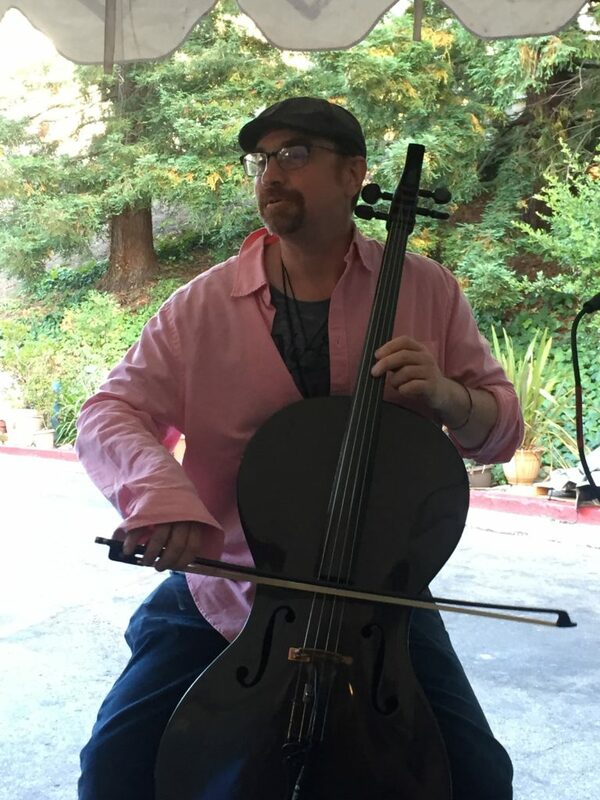 Phillip, a master arranger of covers, brought out old favourites like Usher’s “Nice and Slow,” Phil Collins’ “In The Air Tonight,” and Michael Jackson’s “Thriller.” He also added the hot and funky “She’s a Bad Mama Jama” by Carl Carlton to the repertoire. 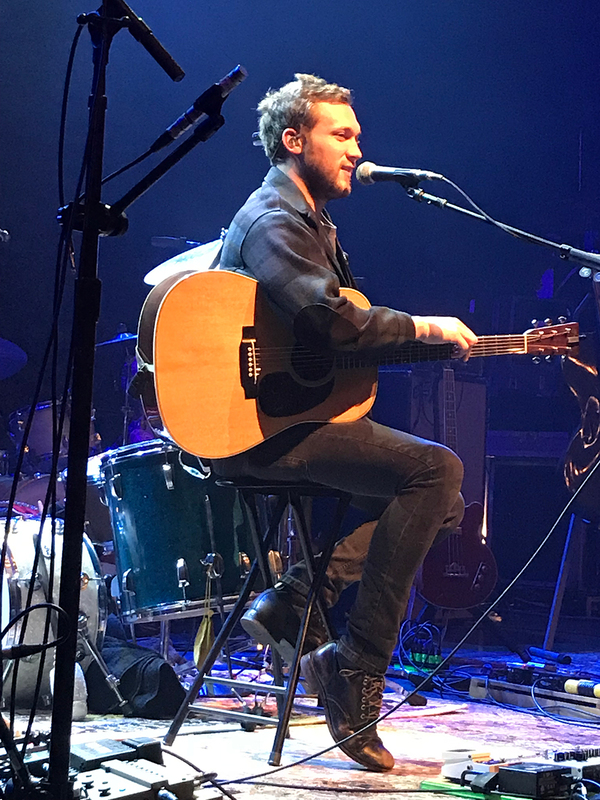 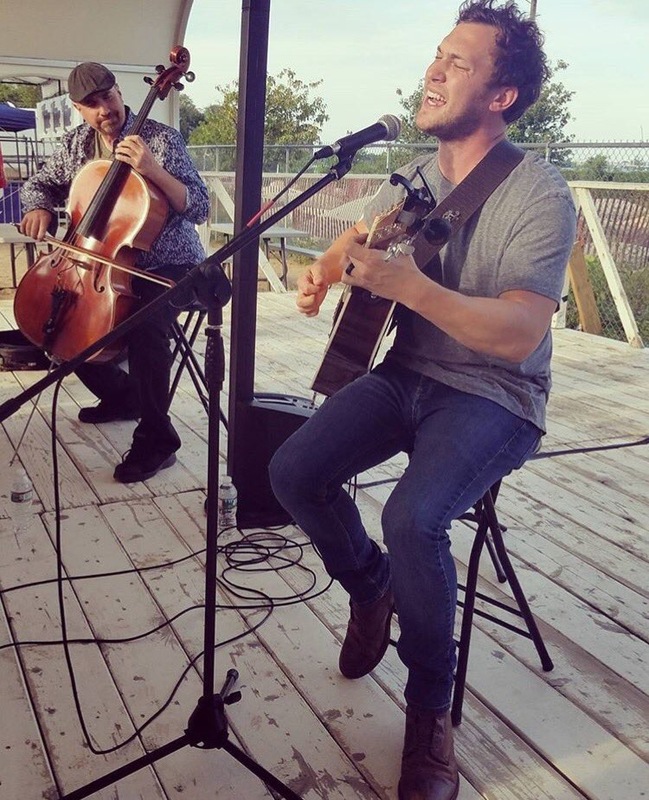 As always, Phillip excelled at both his acoustic, solo performances and those with his band, a mega talented group of mostly Nashville musicians who brought new energy and flavour to old and new songs. 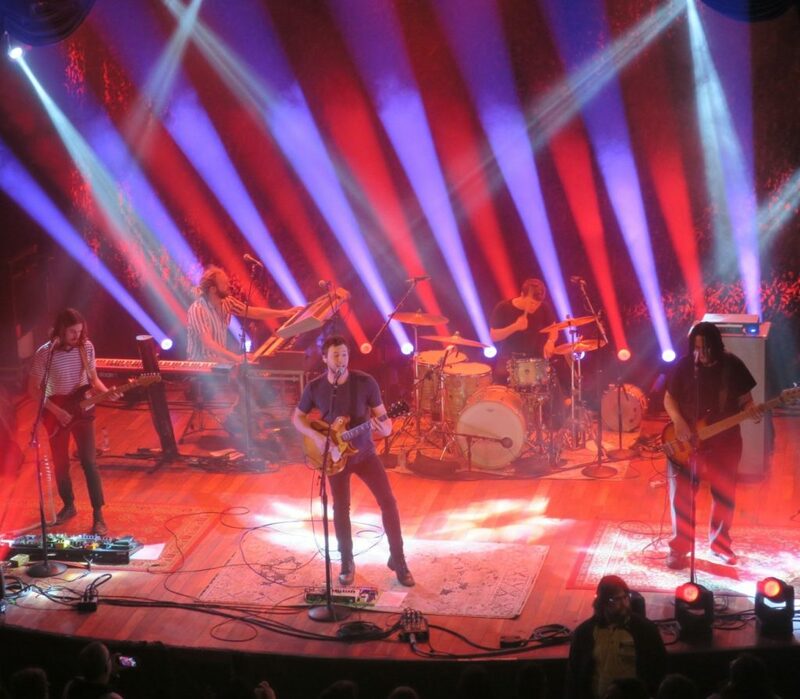 It all added to a truly unforgettable tour. 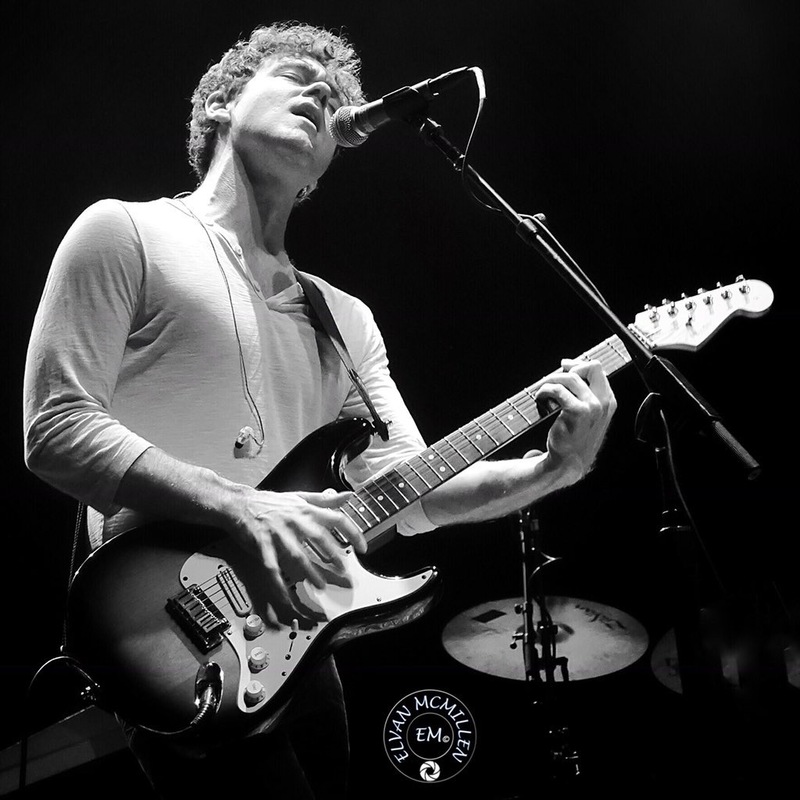 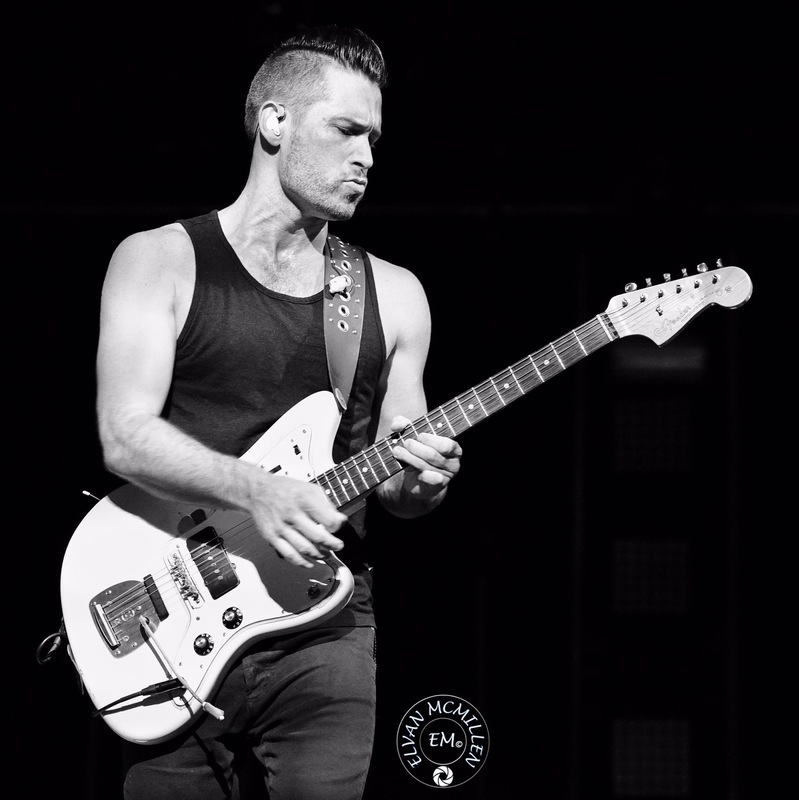 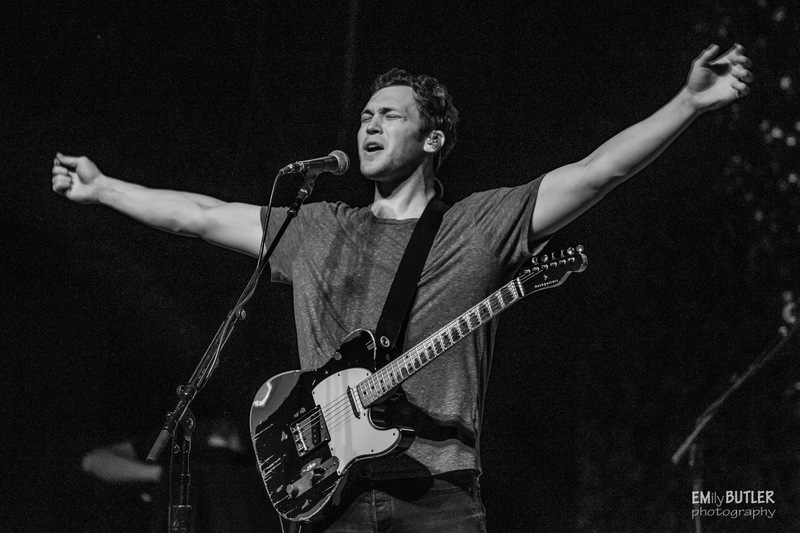 Check out some of our favourite photos from the Magnetic Tour below! 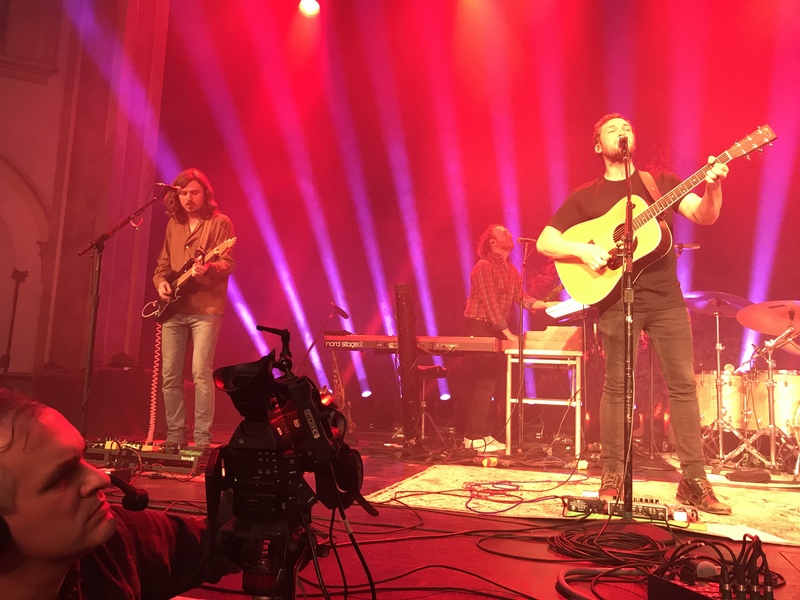 If you are already missing Phillip and band, listen to their incredible full performance in Nashville, courtesy of Lighting 100. 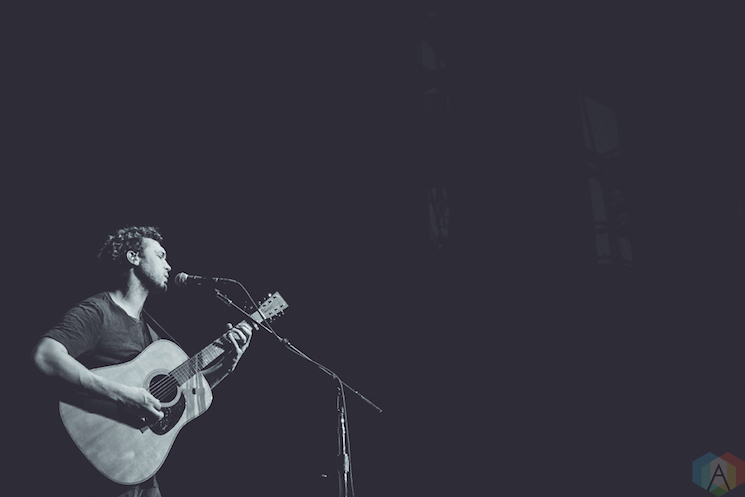 Featured photo by Myrah Sarwar. 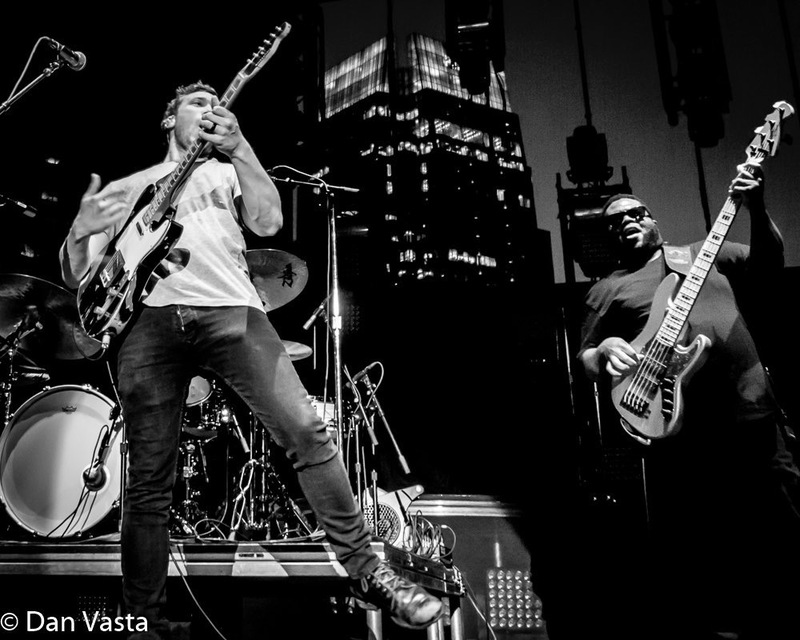 What is that strange magic that makes live music and photography go so well together? 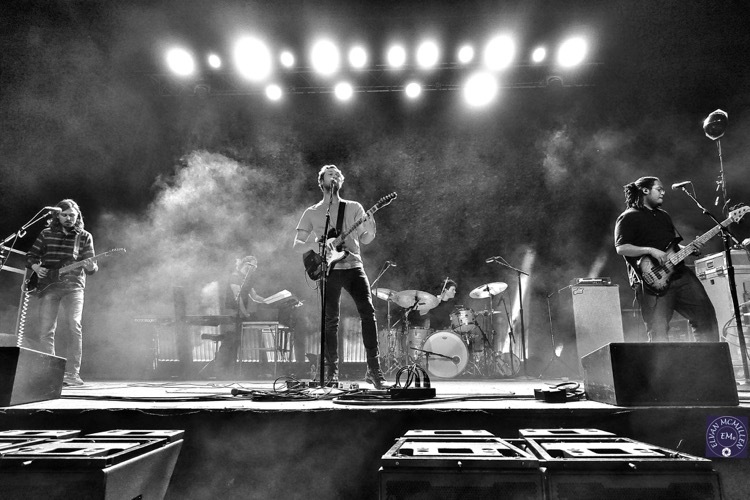 Because while live music is ephemeral and forever moving like a flowing river, photography is static and permanent. 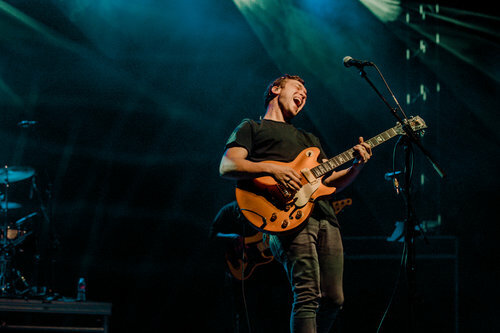 Perhaps it’s due to photography’s ability to catch a moment, to capture a few magical seconds in a performance and make it last forever so we can go back again and again to feel its spellbinding power. 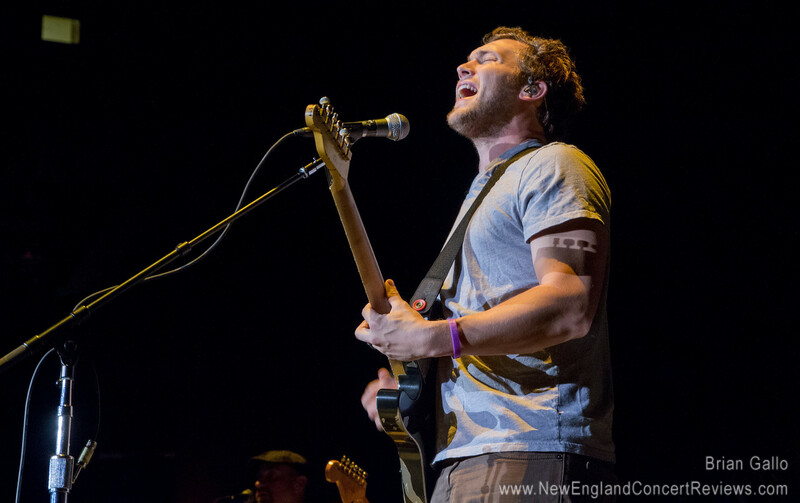 Phillip Phillips performs at Saratoga Performing Arts Center in Saratoga Springs, New York on August 20, 2017. 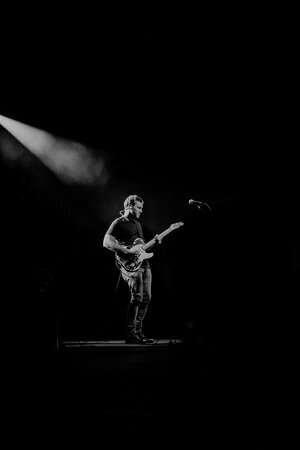 Photo: Danny DeRusso. 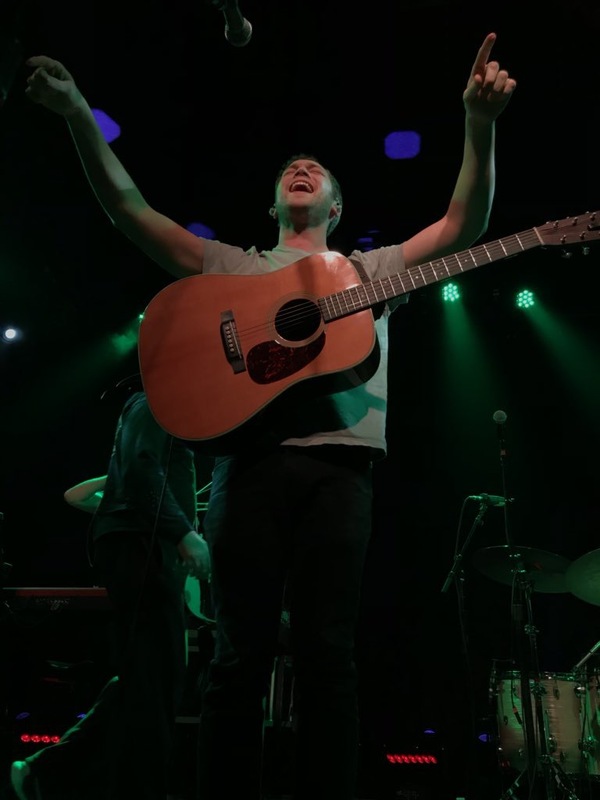 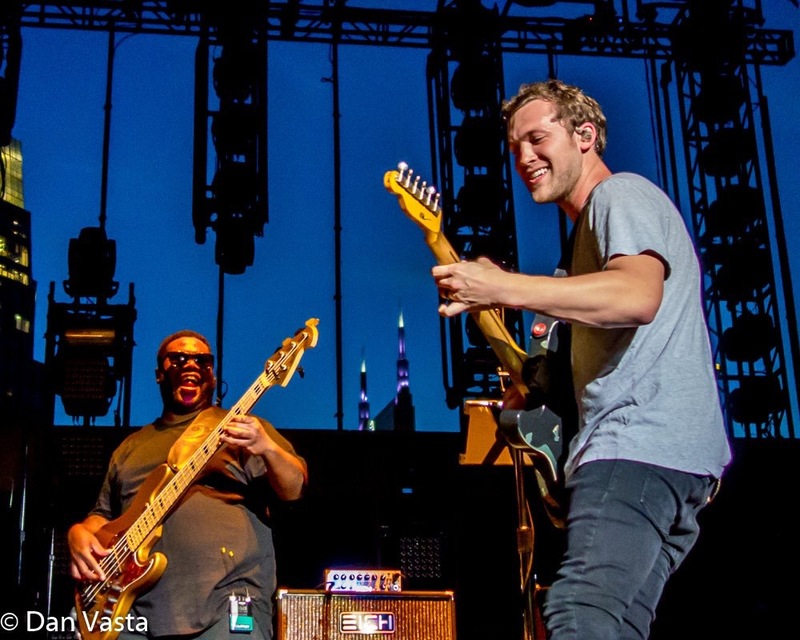 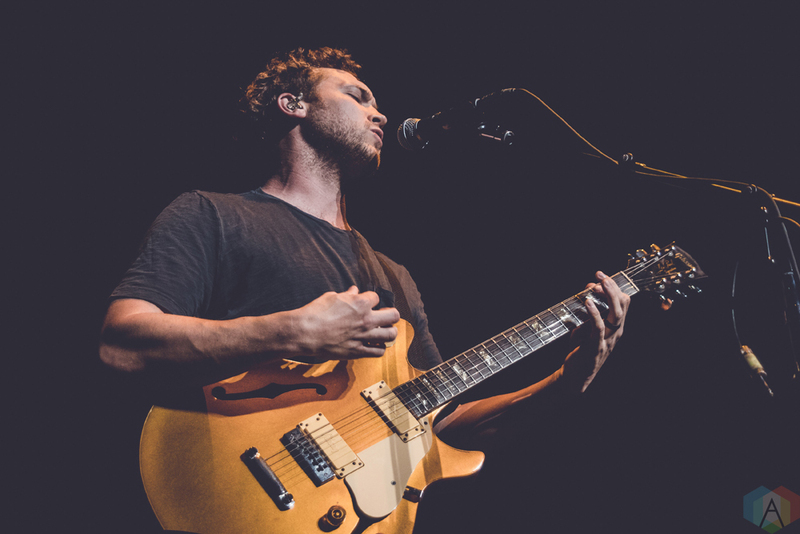 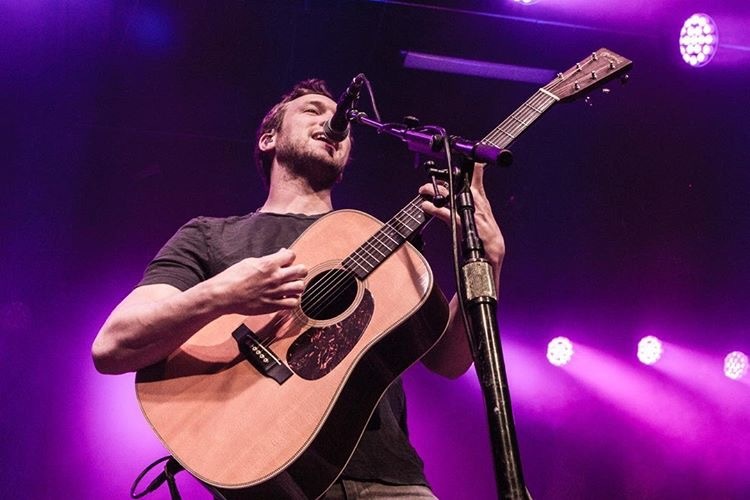 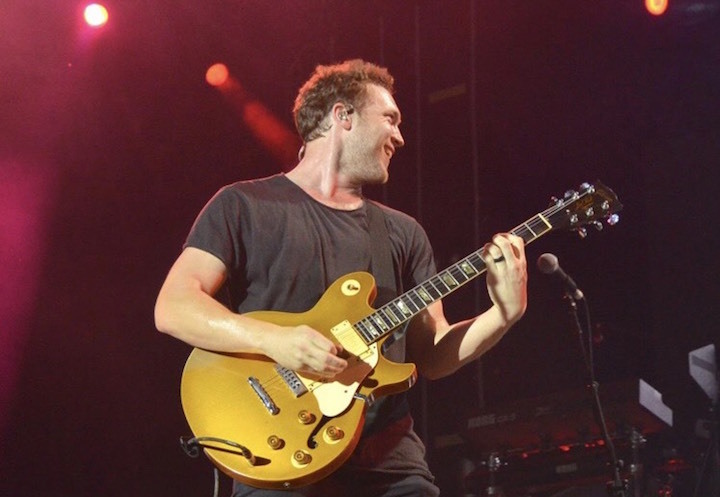 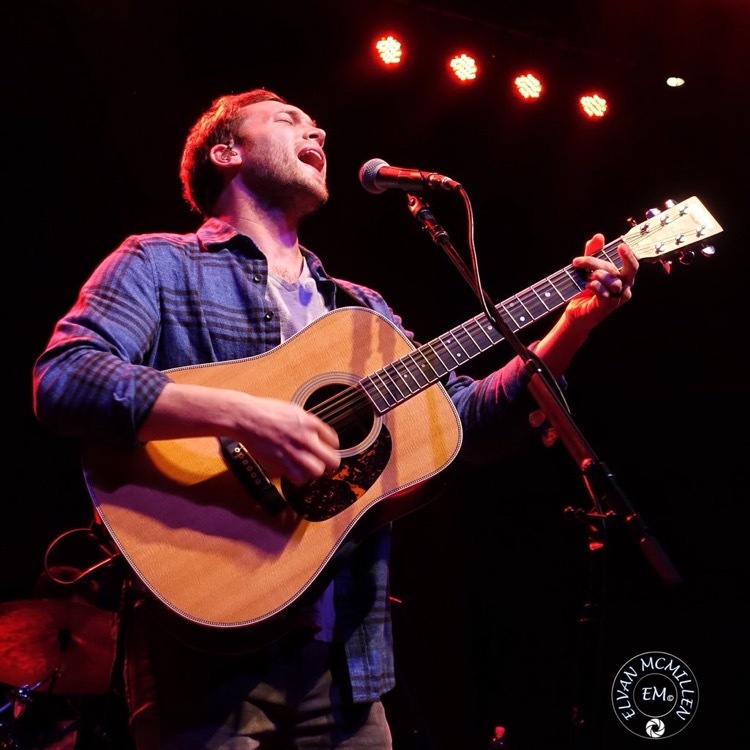 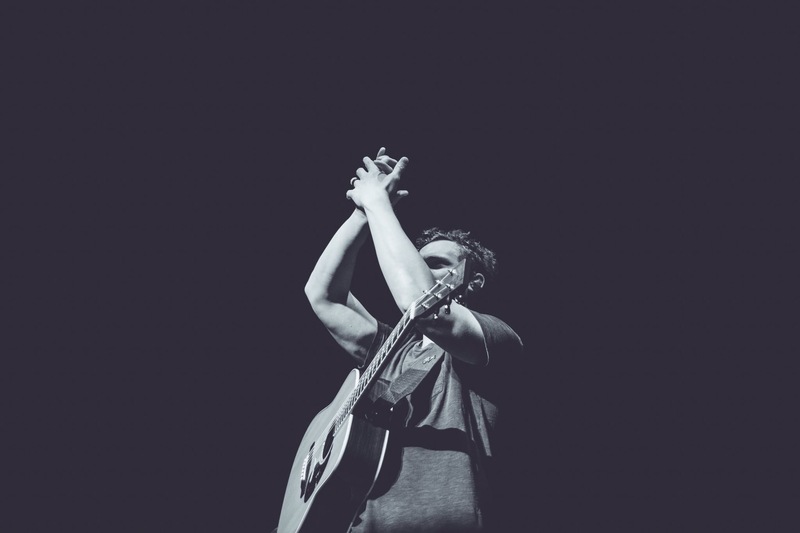 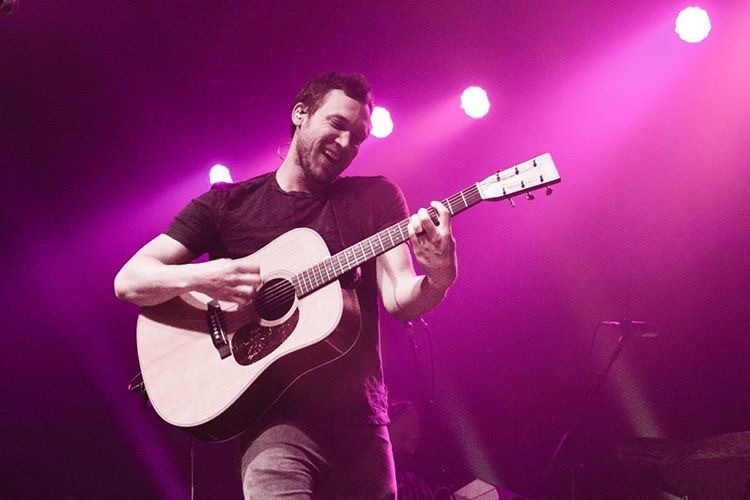 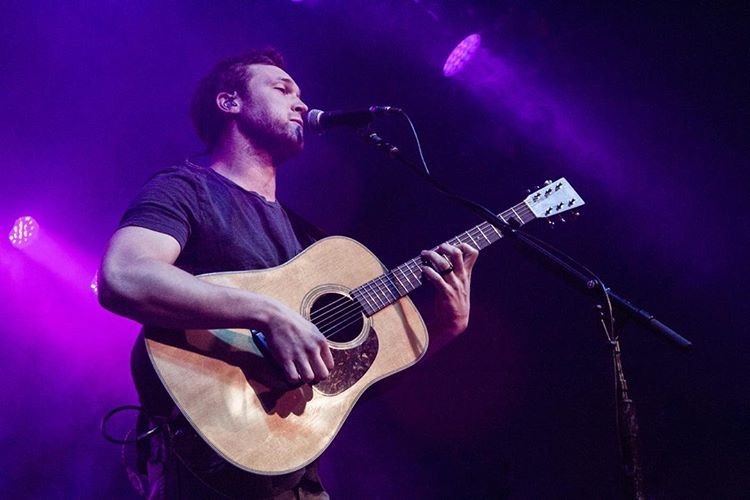 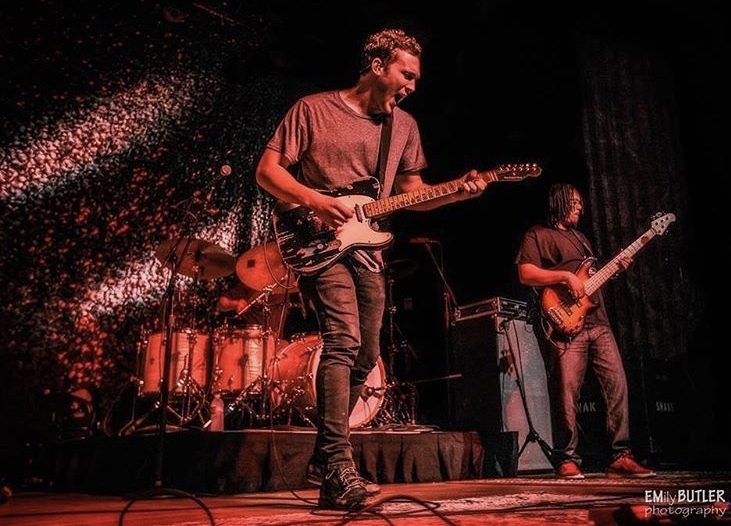 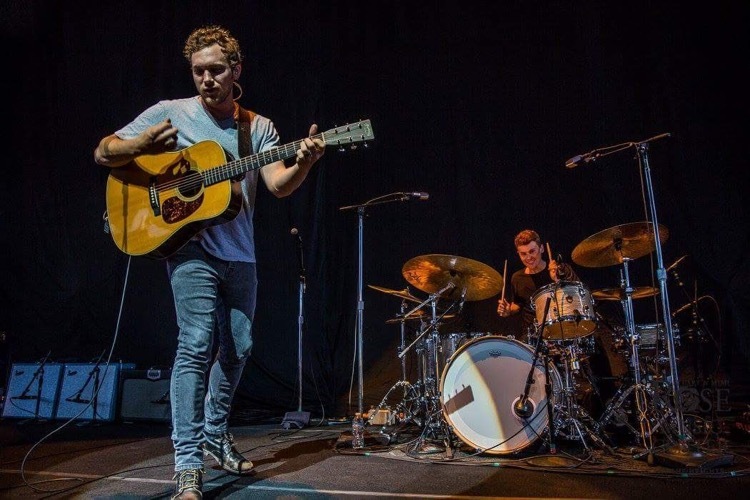 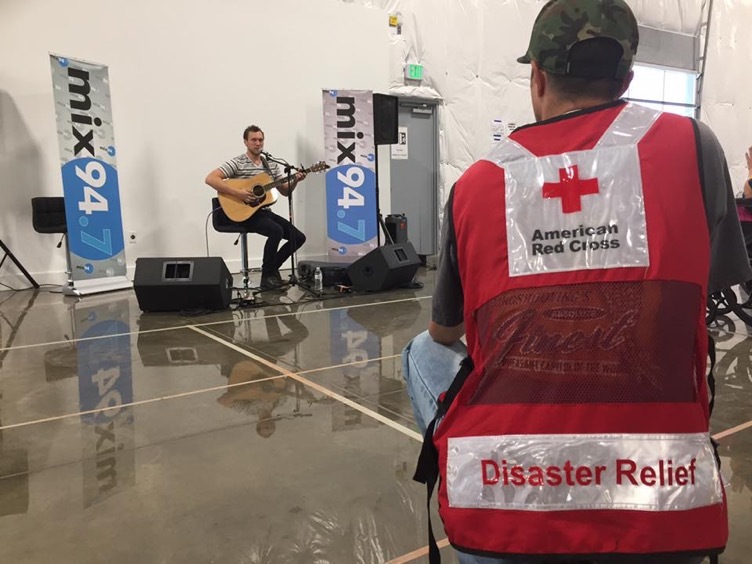 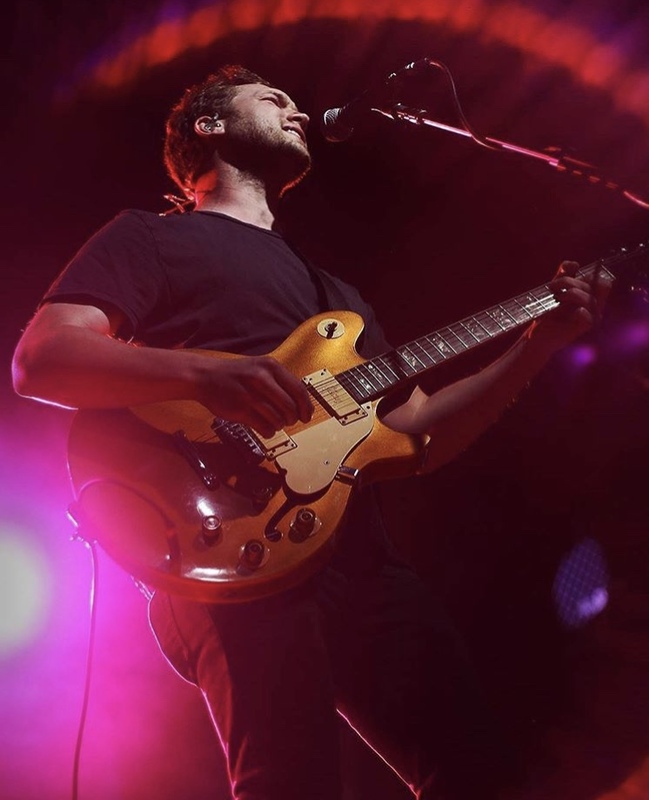 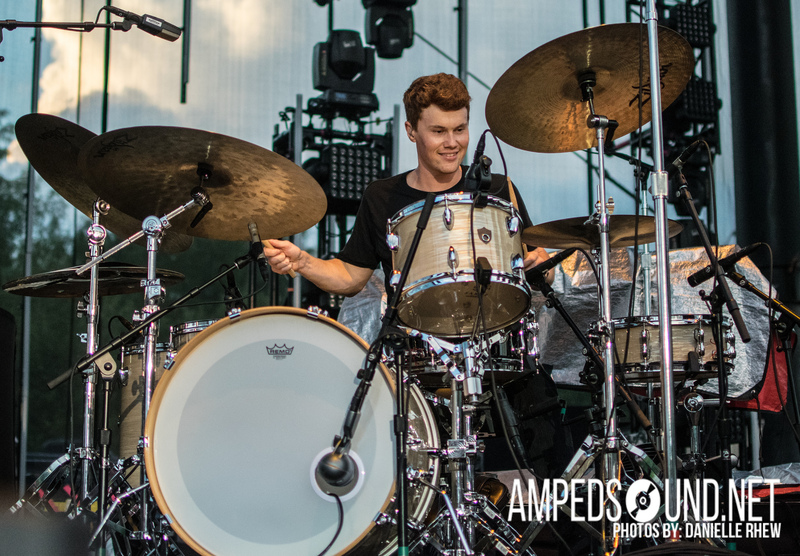 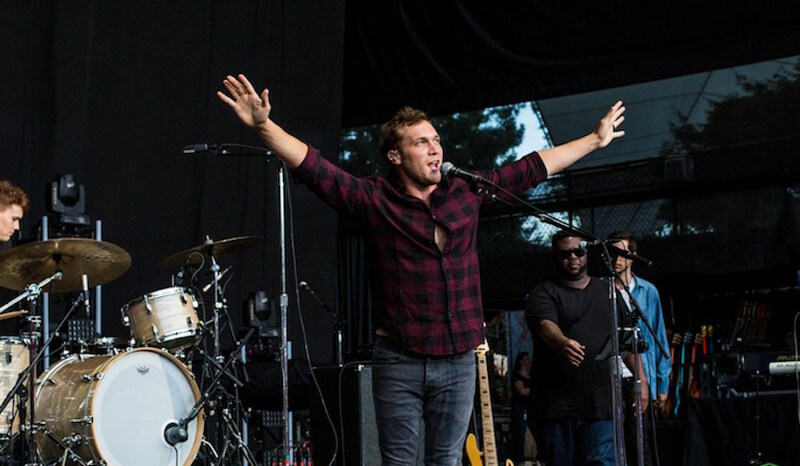 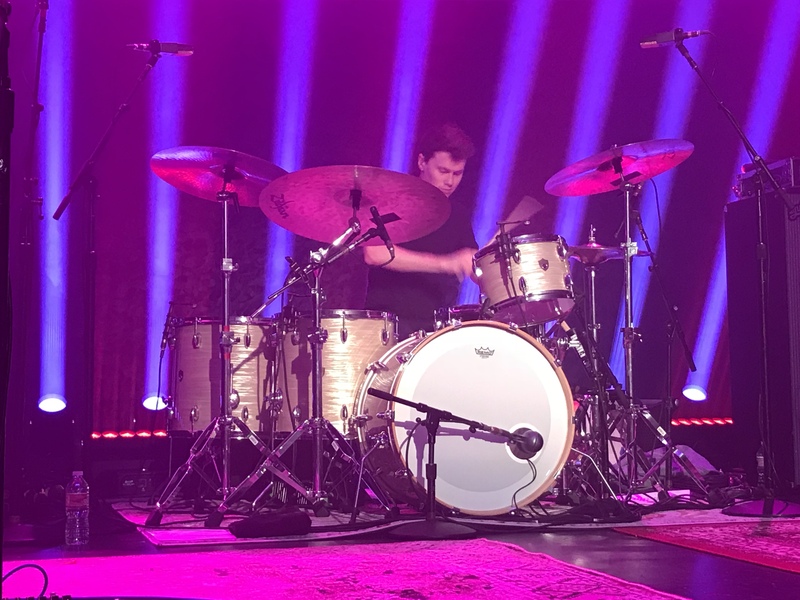 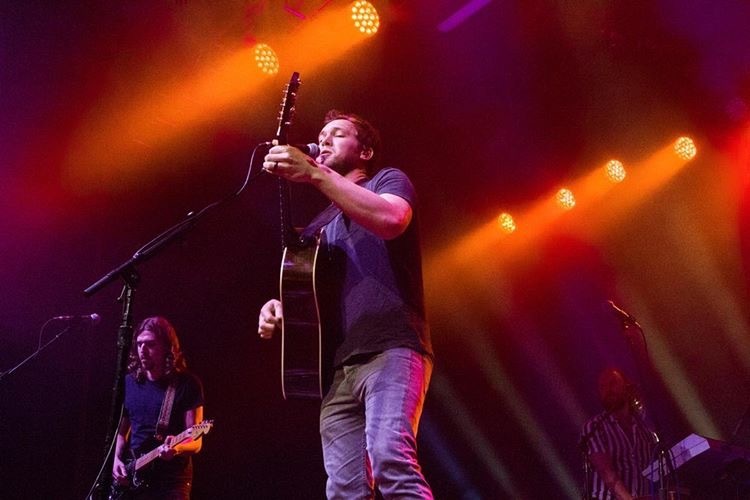 Phillip Phillips’ summer tour had many of such moments, with shows at some historic venues such as Bethel Woods, where the Woodstock festival took place, and Austin City Limits Live’s Moody Theater in Austin, TX, home of the highly regarded PBS music special. 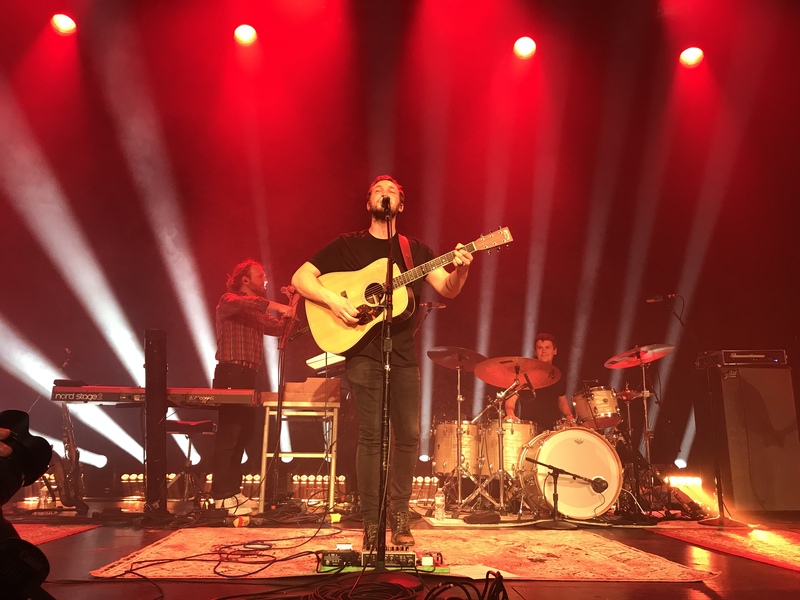 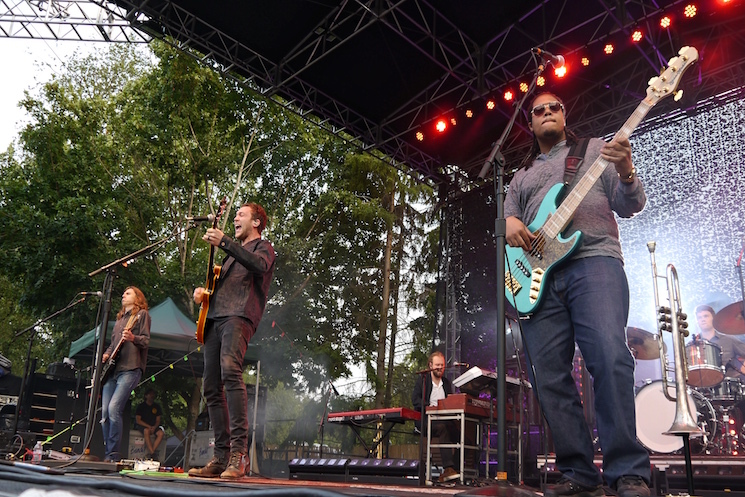 Phillip wrapped his 2017 tour in Bend, OR on September 19. 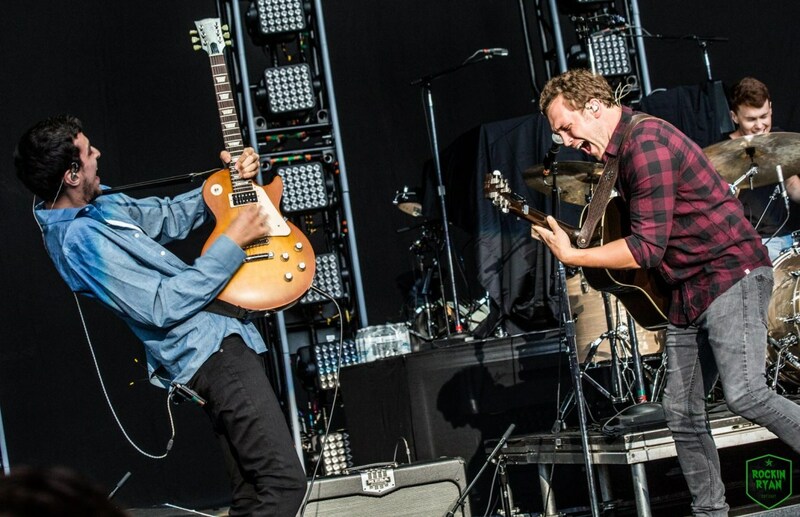 As a recap, here are just a few of our favourite photos from the summer. 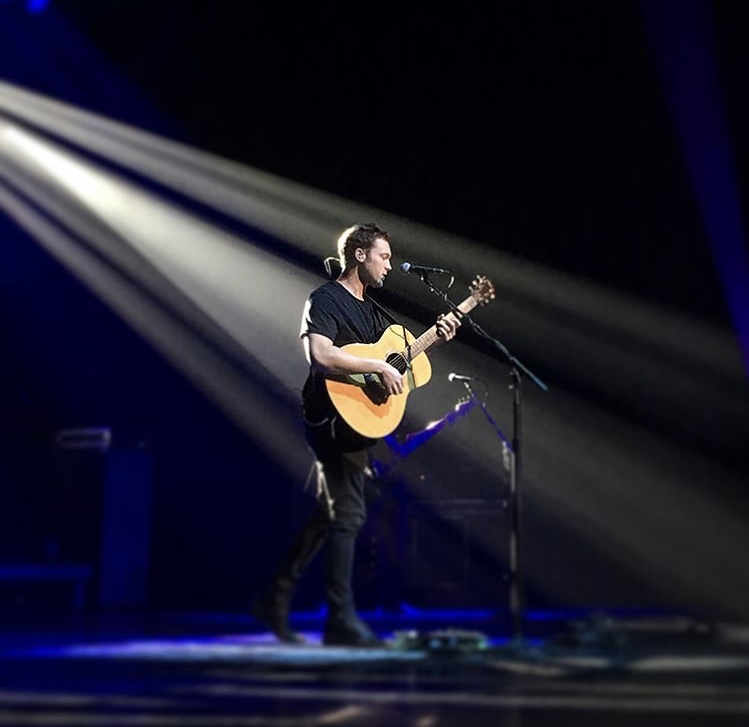 Here is hoping for more exciting announcements in the coming months, and of course a new tour to promote his new album. 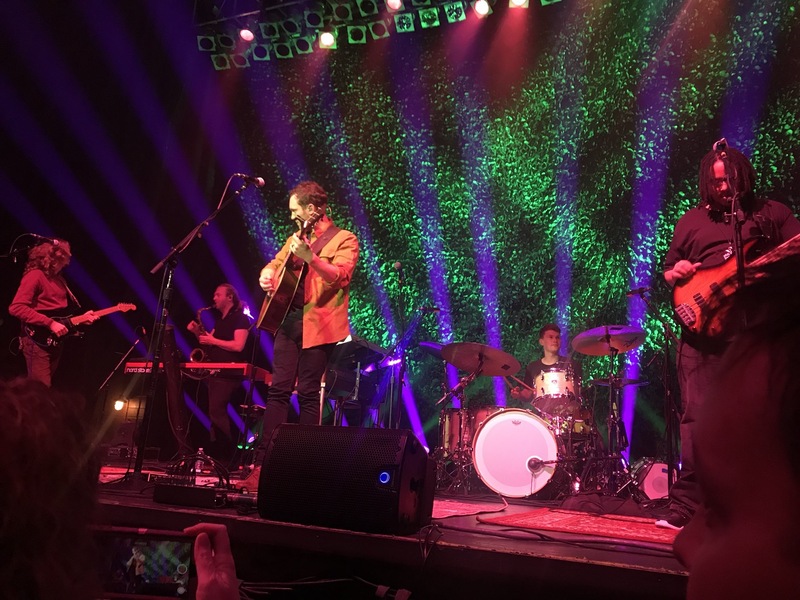 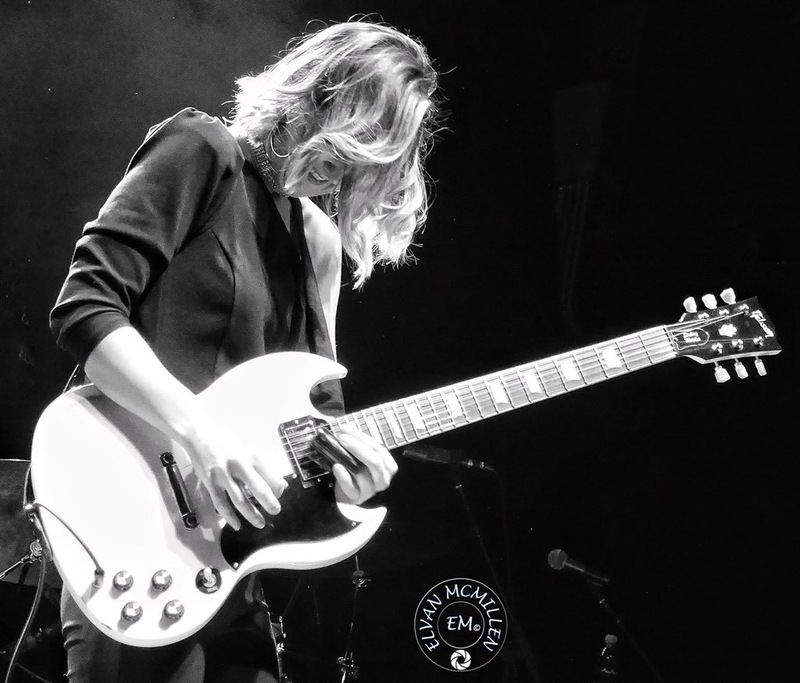 Visit our Galleries page to see more tour photos as well as some great fan photos too! 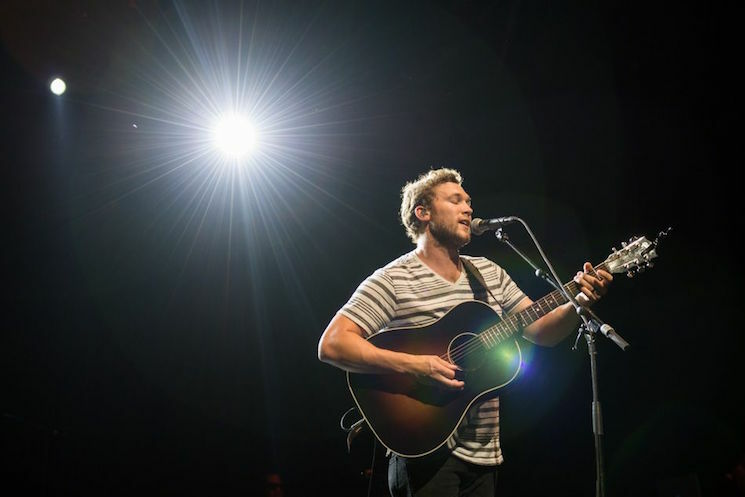 Shadow Tattoo – Phillip Phillips performs at the Mohegan Sun Arena, Uncasville, CT. Photo: Brian Gallo. 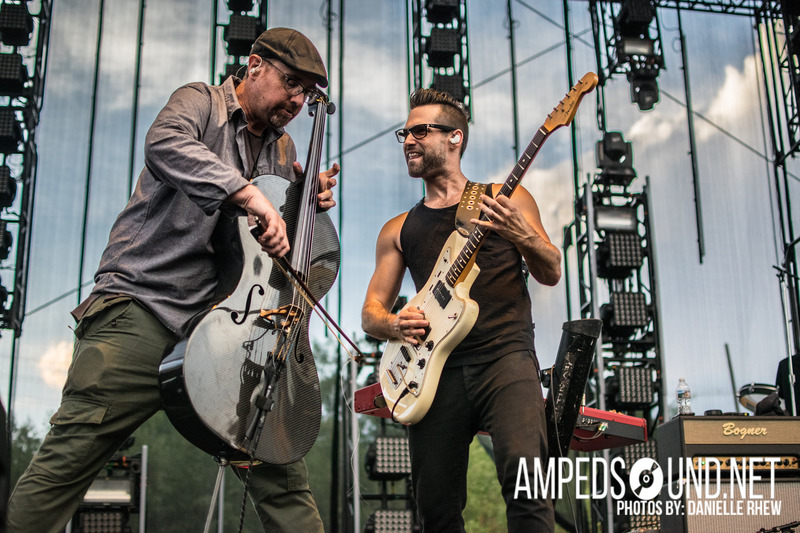 Featured photo by Danny DeRusso.